What is the National Reserve Forces Committee? 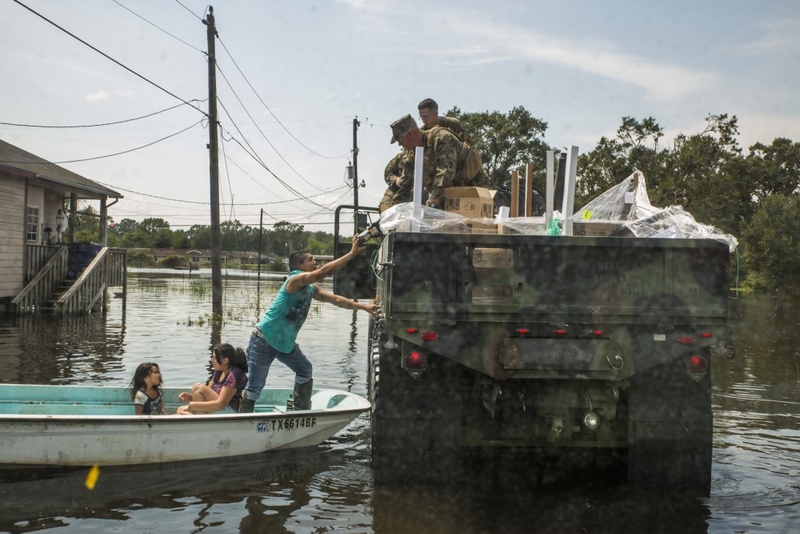 "The Reservist is twice the citizen." The National Reserve Forces Committee represent those thousands of women and men who became Reservists and combined their military role with their civilian career or those who might be a part of the Reserve Forces in the future. Up to the early 1980s, Reserve Forces and related policy matters were considered a national issue only. In 1981 the National Reserve Forces Committee was founded as an interallied and joint committee, which was recognized as a NATO advisory committee in 1996 as stated in the Military Committee documents 441/2 "NATO Framework Policy on Reserves" and 392/1 "Military Committee Directive for the National Reserve Forces Committee (NRFC)". 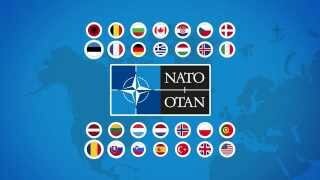 Reserve forces comprise over half of the wartime strength of the armies of NATO Member Nations. In fact, the organisation, composition, mission, training levels of Reserve Forces vary widely across the Alliance. But what the Reserve Forces have in common is that they play an important role in the whole spectrum of national and NATO's defence structures and in the event of crisis they would be required to take up positions and carry out tasks alongside Regular Forces. Reserves are no longer considered to be the forces of the last resort; rather, they are now recognized as indispensable. Indeed, many of our armies would not be effective in wartime without the mobilisation of our reserves. 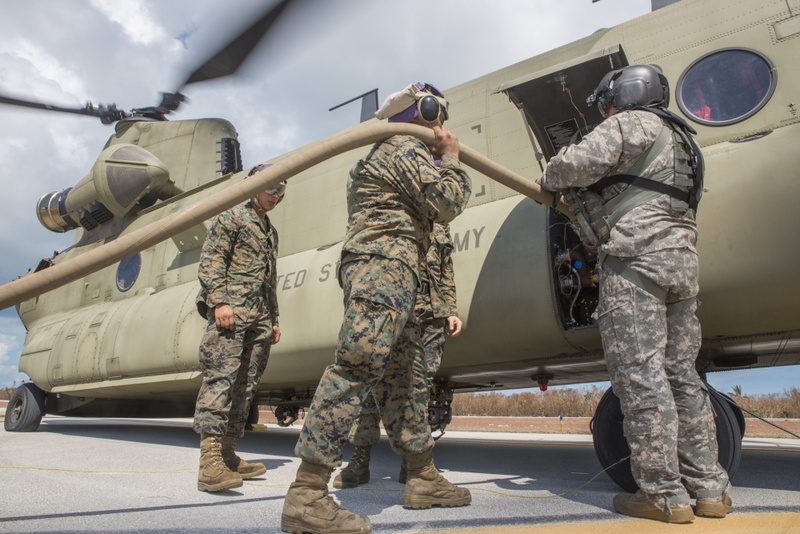 In addition, the reserves’ peacetime support to the Regular Forces has taken on increased importance in areas such as peacekeeping missions, counterdrug operations, disaster aid, and exercise support. 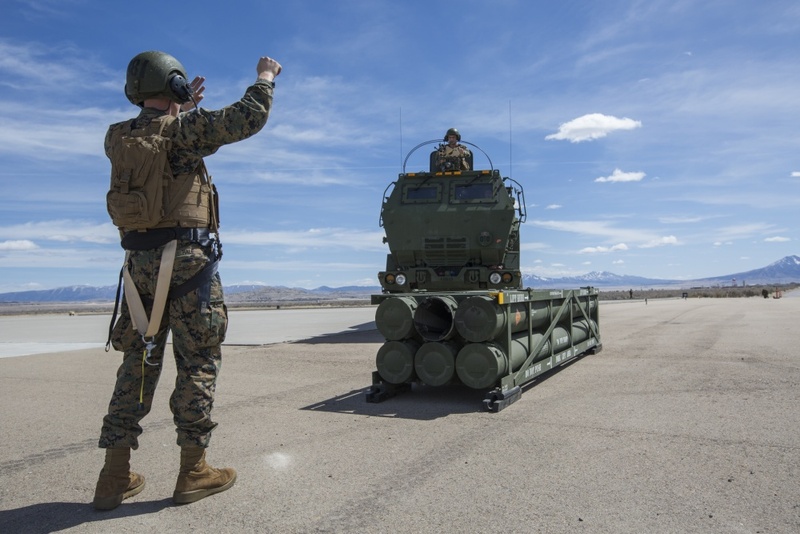 It is widely known that integrated, appropriately purposed, motivated and ready Reserve Forces provide an extraordinary strategic expandability for current military capability at a very low cost. 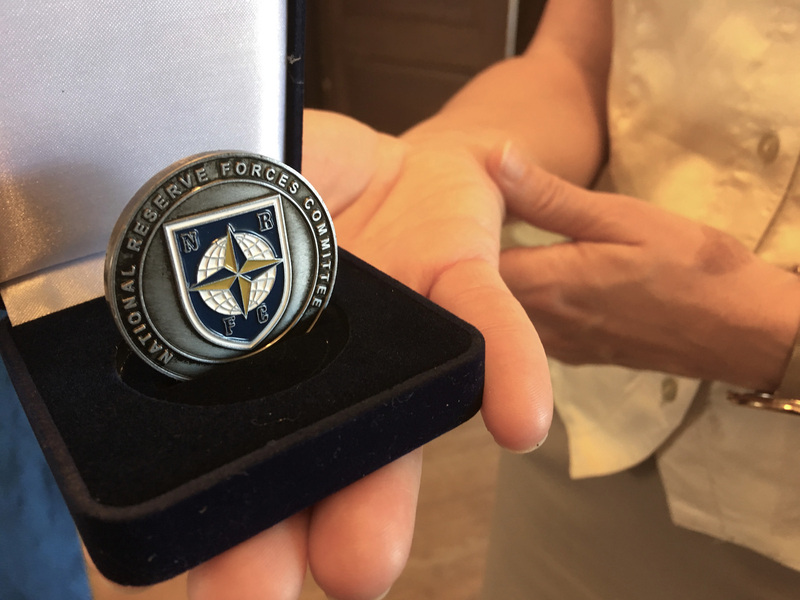 Almost as importantly, the Reserve Forces forge a vital civil-military link between standing forces and the civilian community as a whole, specifically in terms of specialized skill sets difficult to cultivate in the military community. 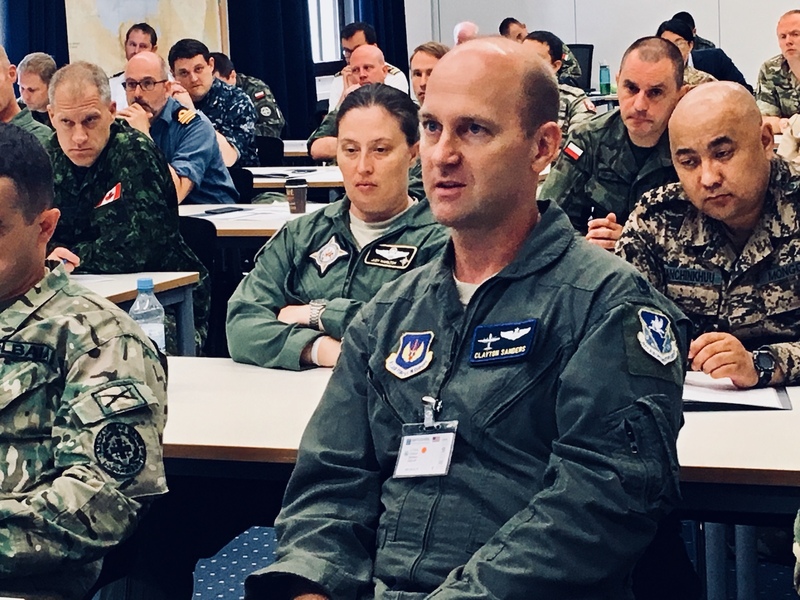 With so much strength the Reserve Forces offer, it is vital that commanders and staffs of NATO, NATO Member Nations, and even Partners, know and understand the reserve systems on which they could depend. 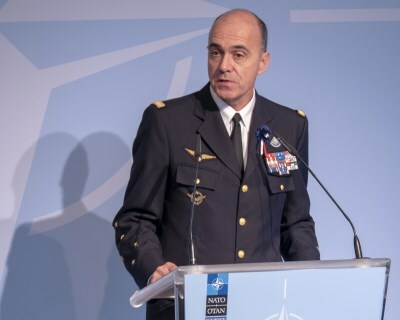 The NRFC is a powerful instrument at the service of NATO Member States and the armed forces and it offers a significant potential in this respect. 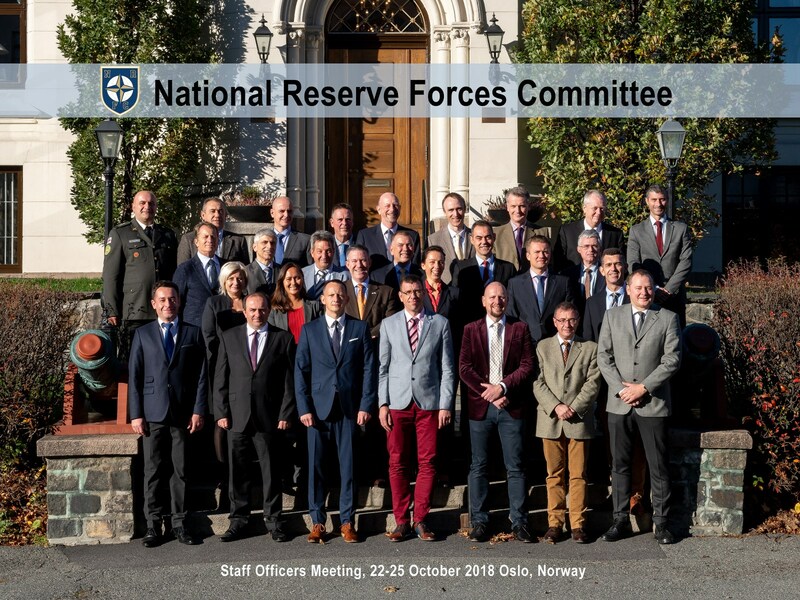 The National Reserve Forces Committee consists of trained and motivated specialists, high representatives of national reserve structures, who provide the overwhelming force to prepare and submit informed and agreed advice on a vast range of Reserve issues around which consensus views are built. Moreover, the Committee’s Members benefit from information sharing, experience, effective models and solutions of other Nations and observe ways in which joint activities build on international best practices. 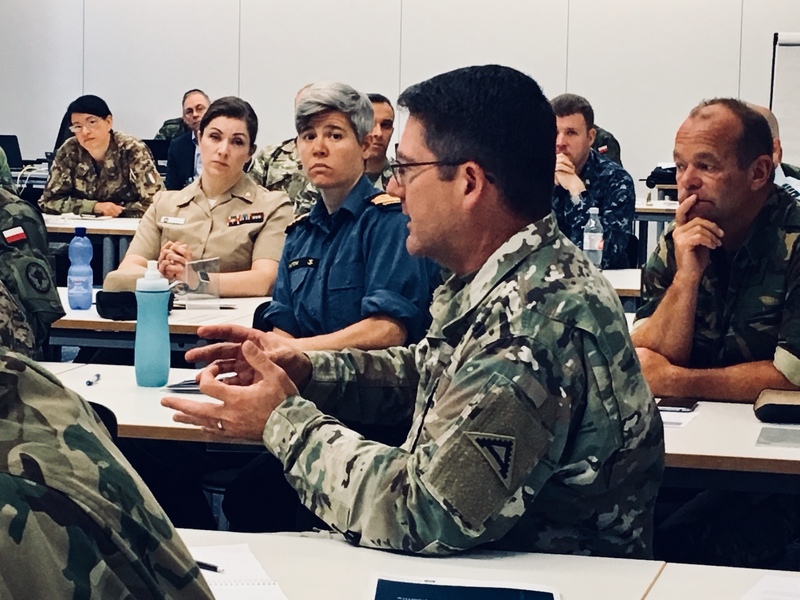 The National Reserve Forces Committee offers an indispensable forum in which national Reserve Forces leadership can exchange best practices and study important aspects of reserve management and employment. 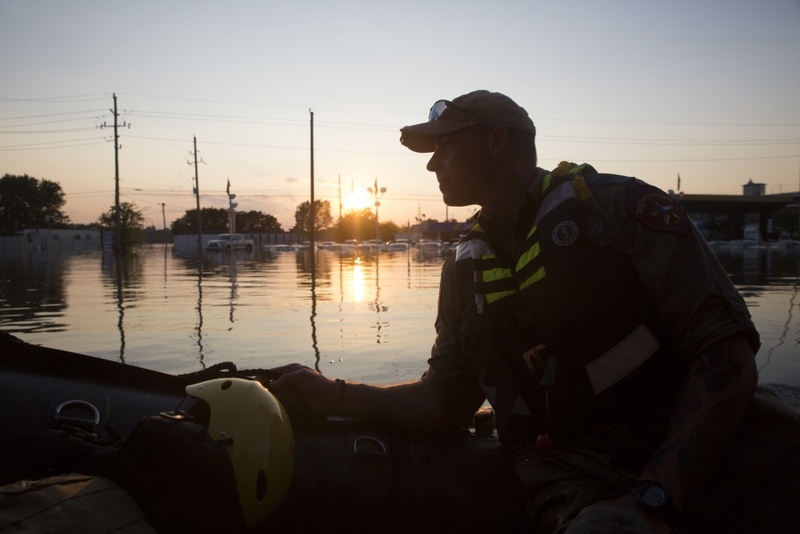 It provides assistance with pulling together information on varying national approaches. Moreover, the Committee intends to inspire and involve people; citizens to become Reservists and understand the role of Reserves, Nations to create and have their Reserve Forces, Reservists to be active and serve the Nations. NATO Framework Policy on Reserves (Military Committee document 441/2) is one of the "doctrinal bases" of the National Reserve Forces Committee. 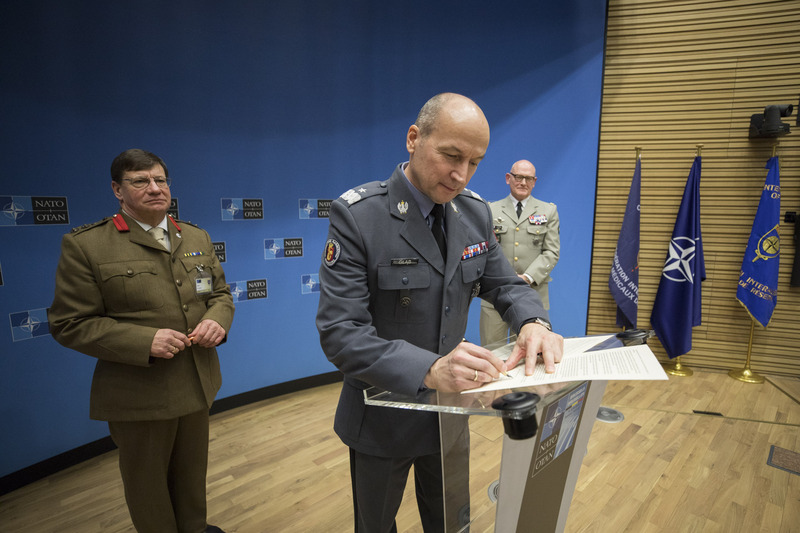 The aim of this document is to provide NATO with the policy framework for contribution of Reserve Forces to achieving NATO's objectives, including Force Development, Force Generation and Force Employment. 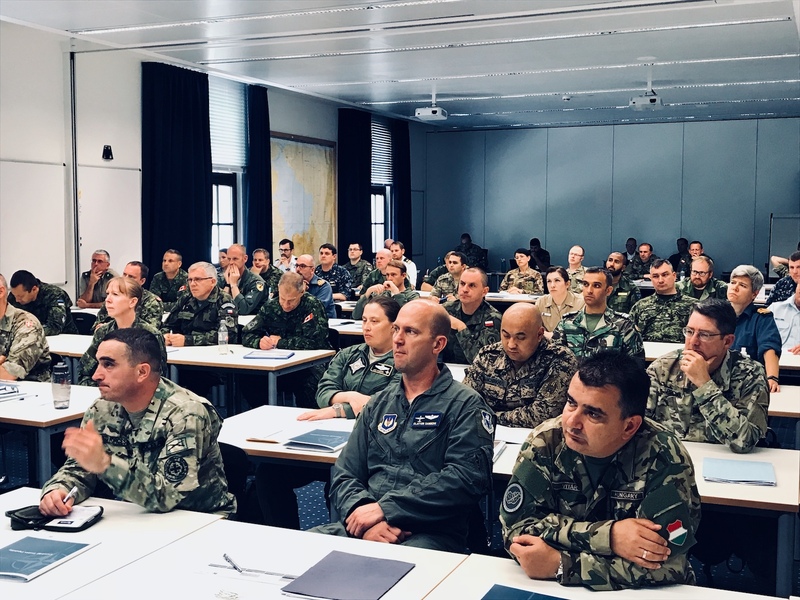 While NATO recognizes the prerogative of individual Nations in all these areas, this document promotes the value that Reserve Forces bring to NATO, and the measures needed to ensure that Reserve Forces are able to meet their potential. 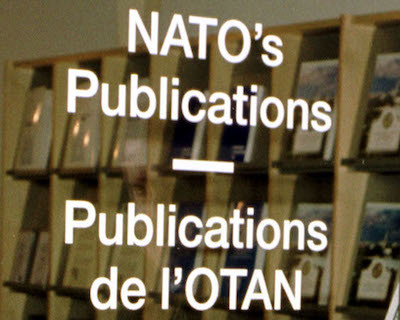 Based on this policy, other two documents (Military Committee document 392/1 “Military Committee Directive for the National Reserve Forces Committee, NRFC” and Military Committee document 248/2 “The Relationship between NATO and the International Confederation of reserve Officers, CIOR”) determine the objectives and relationship of the Reserve entities with NATO. 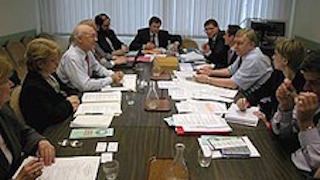 To provide policy advice on Reserve issues to the Military Committee. 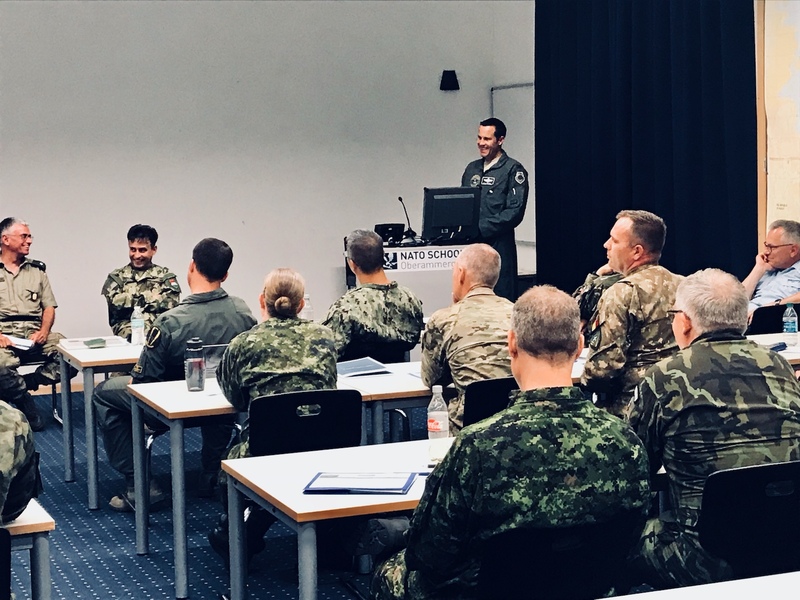 To strengthen the readiness and effectiveness of Alliance reserves by providing a forum for the exchange of information and sharing of best practices. To maintain awareness of relevant issues and to identify common activities that may be of interest to Alliance and Partner Reserves through liaison with organisations and associations that have an interest in reserve affairs. In particular, the Interallied Confederation of Reserve Officers (CIOR). 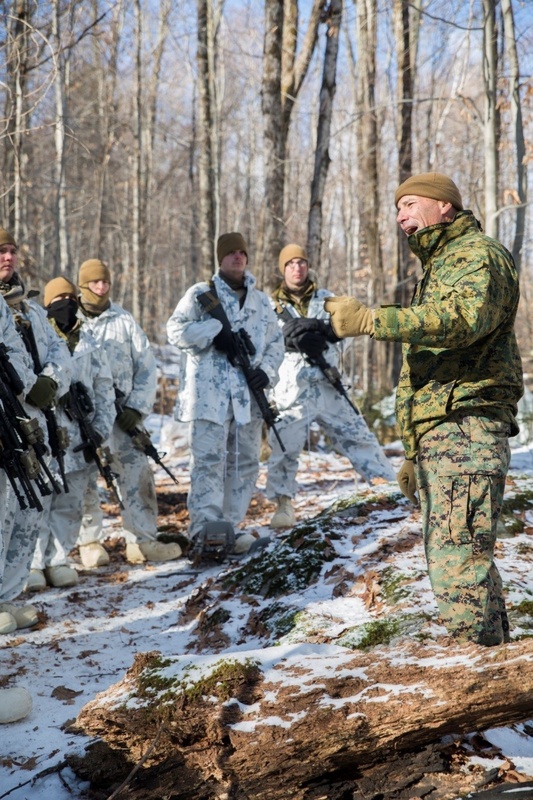 The National Reserve Forces Committee adjusts its priorities over time, following the same path as NATO. 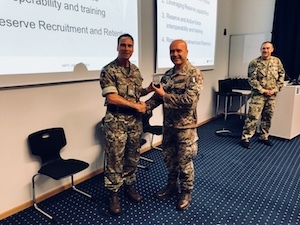 Recent events have mainly sharpened the Committee's awareness of deploying Reservists on operations, employer support and employer engagement, future reserve cyber personnel, reserve support to exercises and training and use of reserves across the spectrum of military tasks. 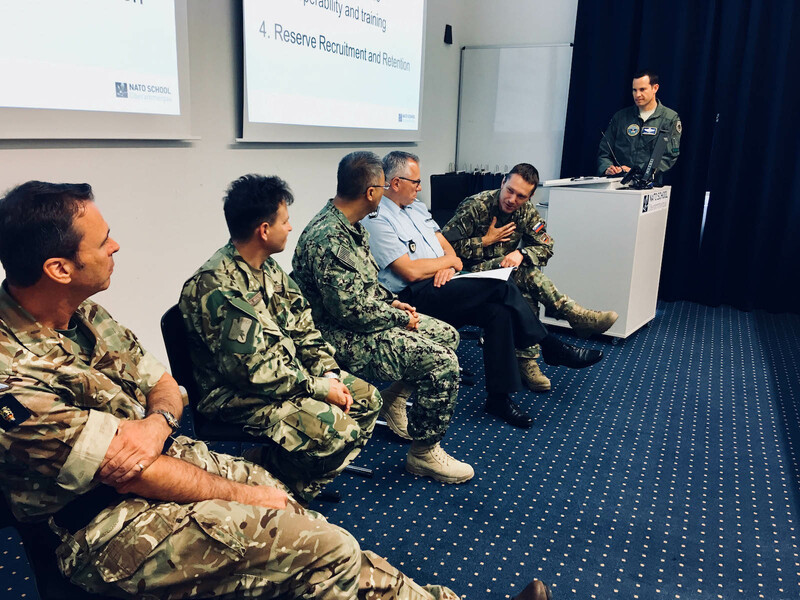 The National Reserve Forces Committee recognises that one of the most promising ways reservists support exercise and training events is through the NATO Multinational Reserve Network (NMRN) established by the Supreme Allied Command Transformation (SACT). 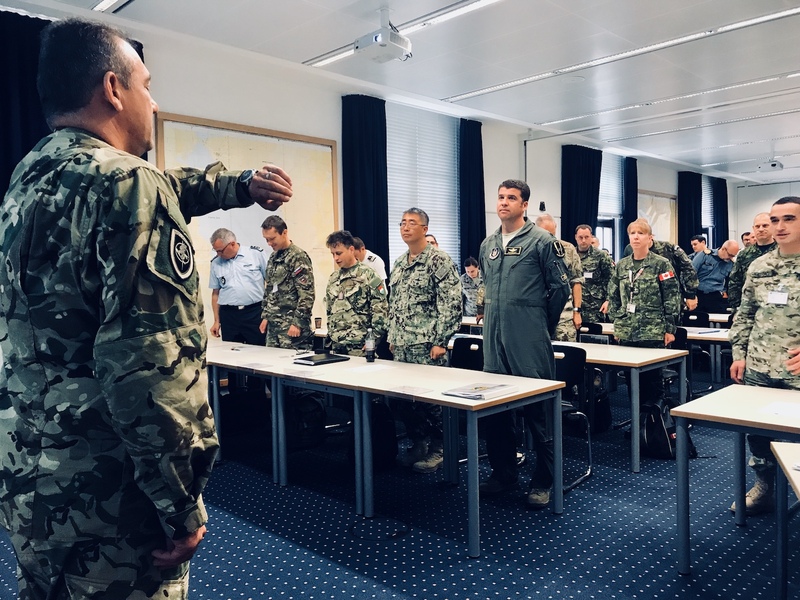 This initiative contributes to effective utilization of Alliance resources, leads to the development of improved reserve capabilities across NATO and promotes the meaningful contributions of national Reserve forces. 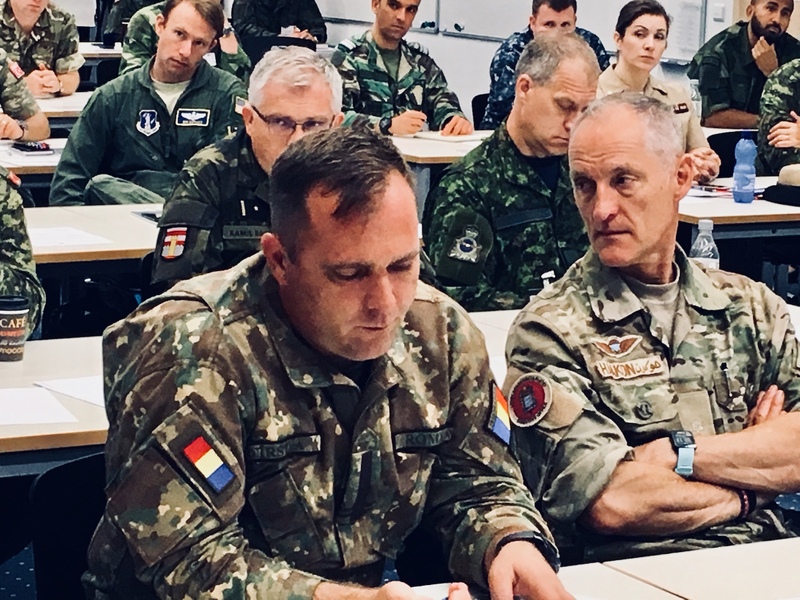 Additionally, increased collaboration among multiple NATO Members' Reserve forces further enhances the exchange of best practices/lessons learned and leads to the development of improved reserve capabilities across NATO. 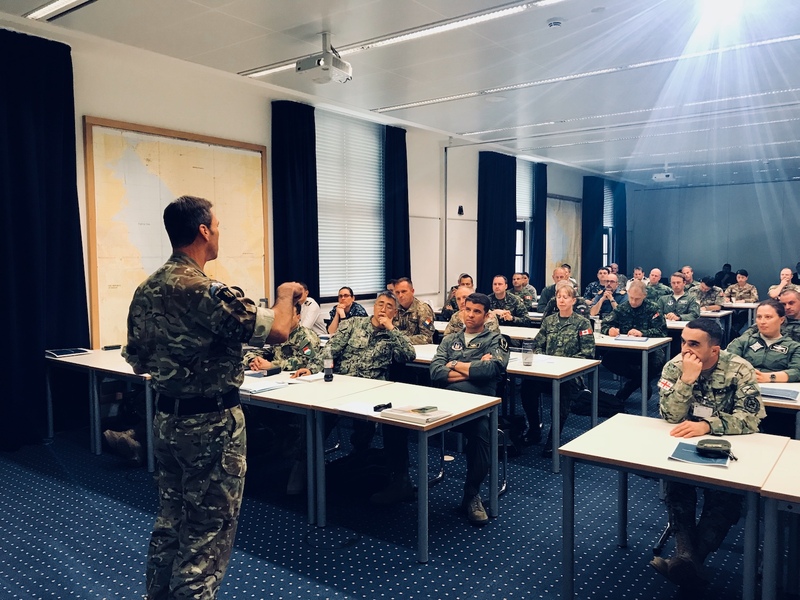 The Committee's Members support this initiative and some of them provide reservists on a voluntary basis to the identified NATO requirements. 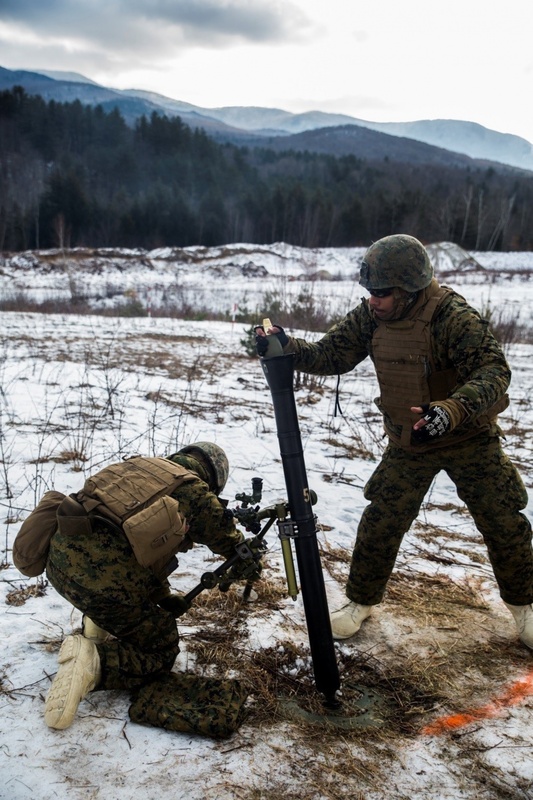 In 2016 the committee decided to establish the Employer Support/Employer Engagement Working Group to assist Nations hosting the International Conference on Employer Support of the Reserve, known by its acronym “ICESR” which is held every two years. Its primary aim is to share information and experiences on methods of support by (and for) civilian employers of Defence Reservists and to explore future directions for the development and use of Reserves. The conference brings together every two years Reserve Forces leaders, employers, representatives of educational institutions and others. 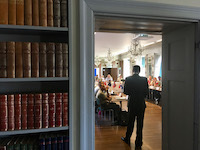 Past conferences were conducted for example in Ottawa (Canada, 2011), Brno (the Czech Republic, 2013), Rotterdam (the Netherlands, 2015) and Stockholm (2017). Next conference will be hosted by United States in 2019: check the "Meetings and Events" below. 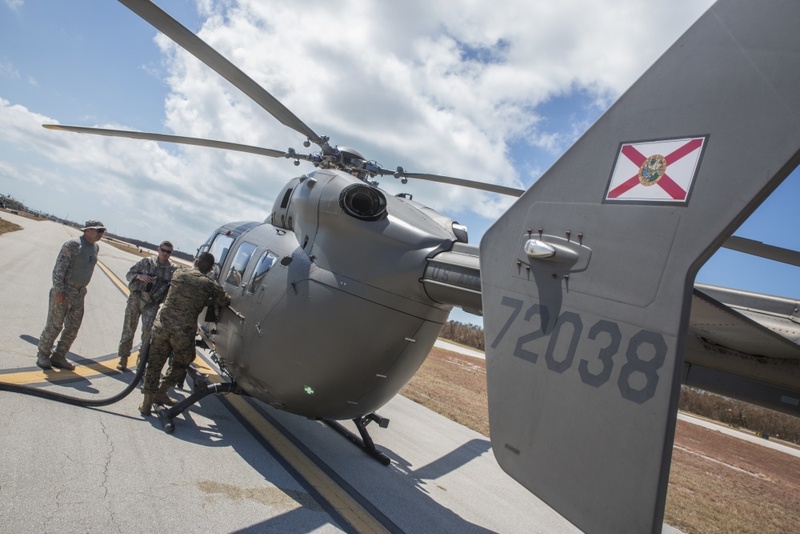 The National Reserve Forces Committee together with the Interallied Confederation of Reserve Officers contributes actively to the Reserve Forces domain for the mutual benefit of reservists and reserve capabilities. 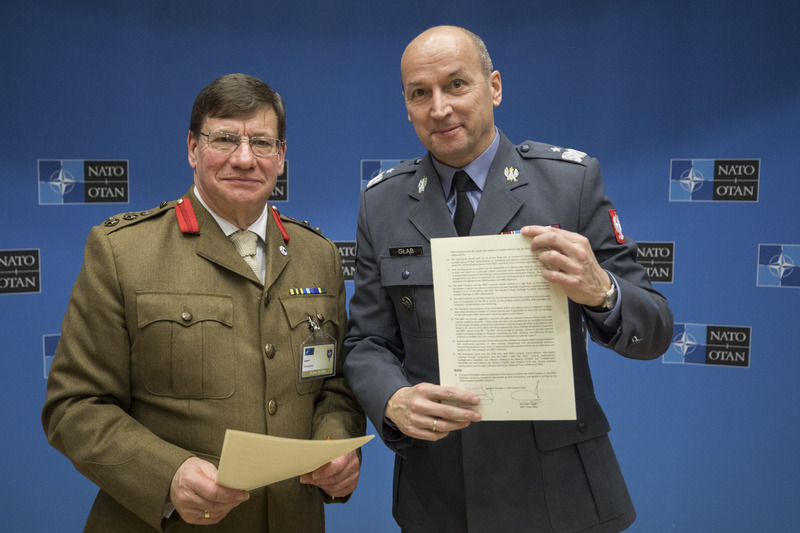 On 30 January, 2019 at the new NATO Headquarters in Brussels the new Memorandum of Understanding between National Reserve Forces Committee and Interallied Confederation of Reserve Officers was signed by the National Reserve Forces Committee Chairman, Polish Brigadier General Robert Głąb and the Interallied Confederation of Reserve Officers President, British Colonel (R) Chris Argent. The Memorandum of Understanding provides for the general division of responsibility: the National Reserve Forces Committee is the policy-making body concerned with the Reserve as an organization, whilst the Interallied Confederation of Reserve Officers is the practical deliverer concerned with the individual Reservists. Both entities – in accordance with Military Committee 0392/1 directive for the National Reserve Forces Committee (the relationship between NATO and National Reserve Forces Committee) and Military Committee 0248/2 directive (the relationship between NATO and Interallied Confederation of Reserve Officers) – maintain situation awareness of the other’s activities in order to identify areas of mutual interest and potential cooperation. 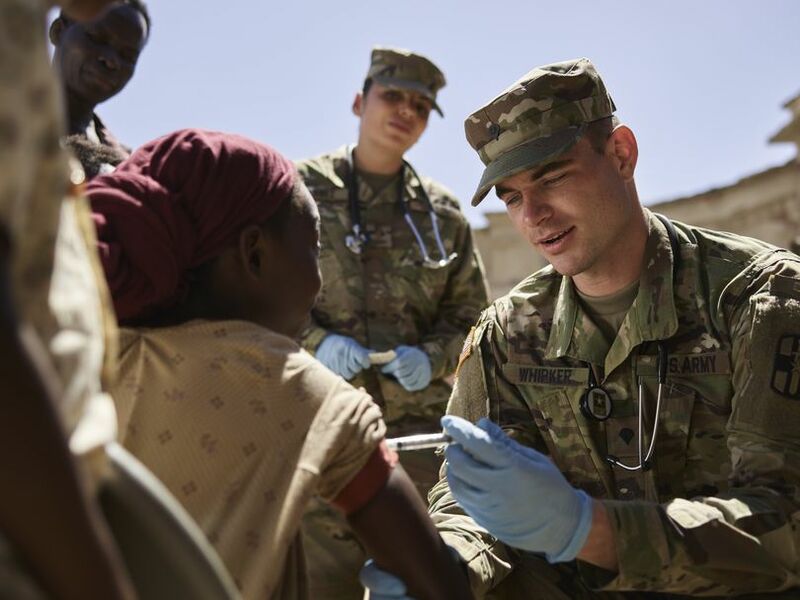 The Committee also recognizes the work of the Interallied Confederation of Medical Reserve Officers and the Interallied Confederation of Reserve Non-Commissioned Officers. 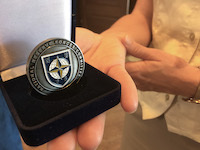 The National Reserve Forces Committee recognises individuals, groups and entities who demonstrate their overall excellence in the performance of Committee’s business, their positive impact on, or engagement with, the Committee and/or the international Reserve Forces community or who promote Committee’s values and ideals and have contributed to the Committee’s effectiveness or publicity. The Chairmanship of the National Reserve Forces Committee is held for a period of two years by one of the Member Nations. From 1st August 2018, Poland took over the Chairmanship from the Czech Republic. These are the words of Brigadier General Robert GŁĄB, the Chairman of the National Reserve Forces Committee. 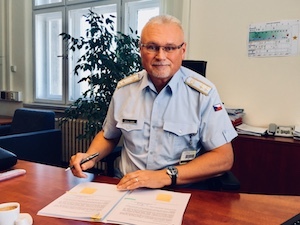 On the 1st of August, I assumed the NRFC chairmanship and I would like to emphasize that it is a real privilege and an honour for me, as a Polish officer and Warsaw Garrison Commander, to have the opportunity to perform the duties. I am aware that NRFC members have different national approaches to all of the aspects concerning Reserve Forces so I promise to remember about it and respect it. 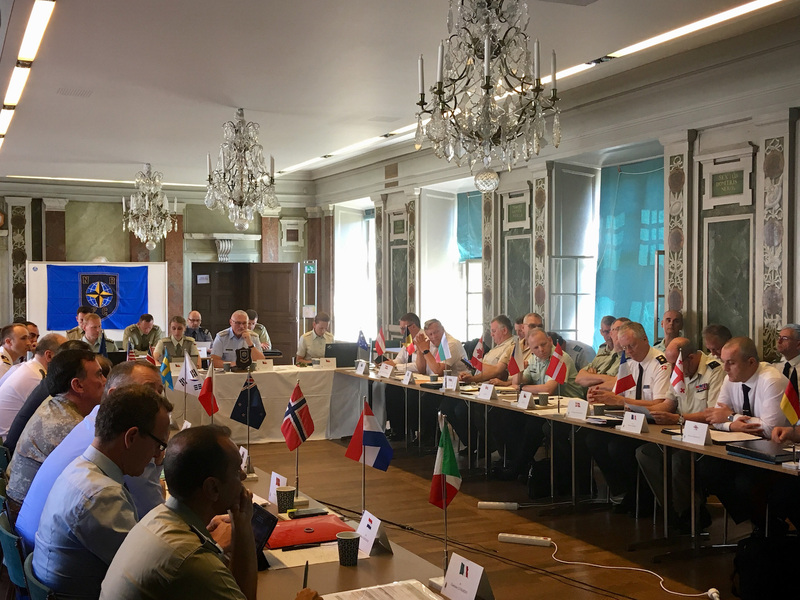 My priorities are to facilitate and deepen cooperation between NRFC members, all NATO nations and NRFC members with the status of observer as well as to create the appropriate conditions for active participation in NRFC plenary meetings. 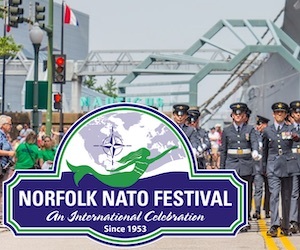 I am going to do my best to persuade all NATO nations and observers that it is truly worth working together, presenting constructive proposals and eventually achieving NRFC goals. After two years of chairing this Committee, I can proudly point out that NRFC is the ideal place to look for examples of the unifying power of cooperation, and I commend the work carried out by all Nations, including Observers. In fact, I cannot put enough emphasis on how openness, mutual trust and cooperation can help deliver our objectives more efficiently and produce the right results. The National Reserve Forces Committee has shown remarkable validation of its existence and importance. What I appreciate the most is that the Committee takes a very critical stance towards its approaches. It works hard; keeps improving processes and learns new skills. NRFC Members have a great spirit and are willing to take on other projects with good potential to benefit NATO, Nations and Partners. I have no doubt that the National Reserve Forces Committee is indispensable to the work of the Alliance and can be one of the most productive tools that the Alliance has for goal achievement in the area of Reserve Forces. I commend NATO and the Military Committee for strong leadership on the issue of Reserve Forces by inspiring NATO Framework Policy on Reserves. This is an important expression of trust and support for the intensive efforts the Reserve Forces are applying on the international scene. 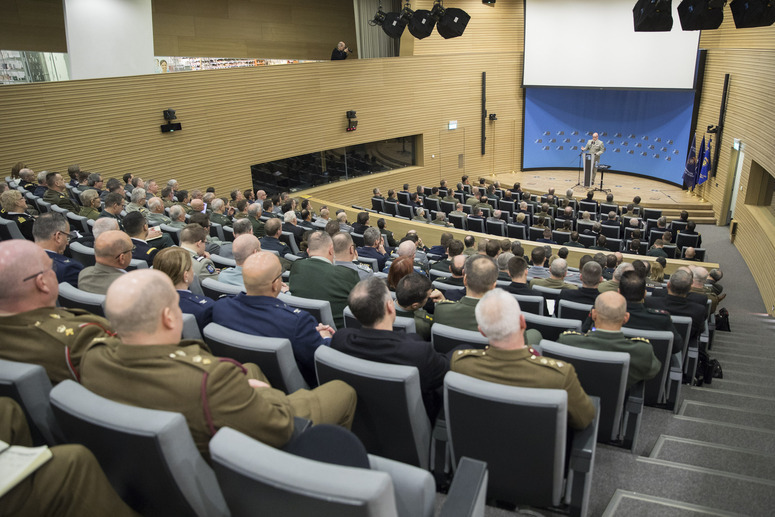 I would like to thank also all personnel whose dedicated cooperation with the National Reserve Forces Committee has made two years under the Czech Chairmanship a source of great satisfaction and encouragement to me, my team and the reserve community. 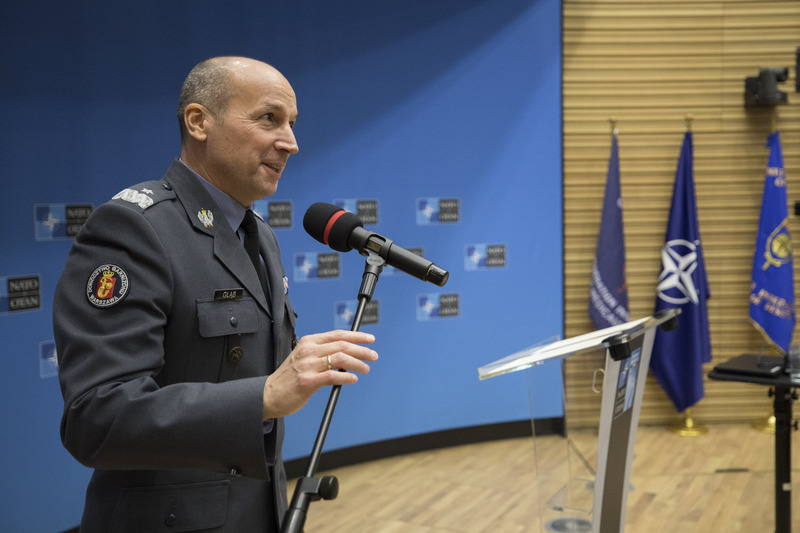 From 29 to 31 January, 2019 the Winter Plenary Meeting of the National Reserve Forces Committee (NRFC) was held at the new NATO Headquarters in Brussels, chaired by Brigadier General Robert Głąb (POL). The meeting was devoted to working out the ways of strengthening cooperation between NRFC and CIOR, signing the new NRFC/CIOR Memorandum of Understanding and identifying new NRFC priorities for 2019/2020. 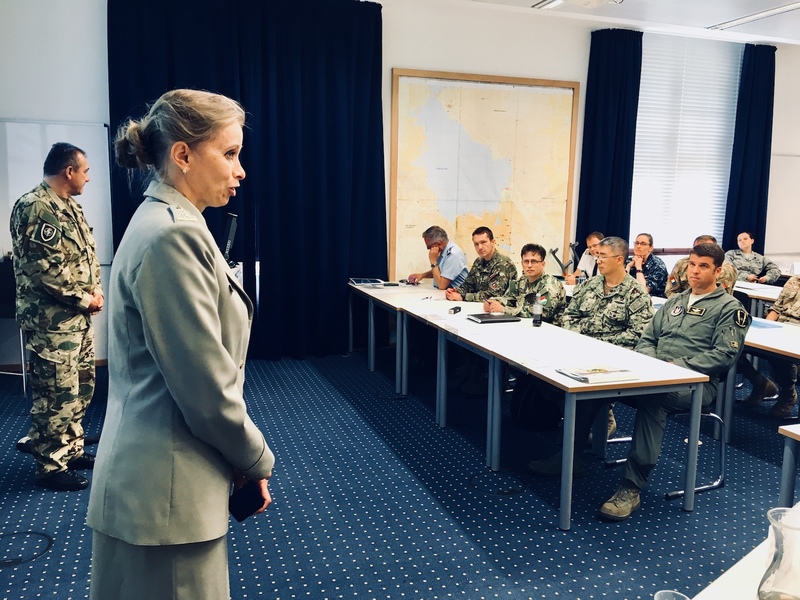 During the sessions, there was also presented information on selected national reserve programs and discussed the progress of the current project of the NRFC on Lessons Learned on Reservists in Operations - Post Deployment Phase. 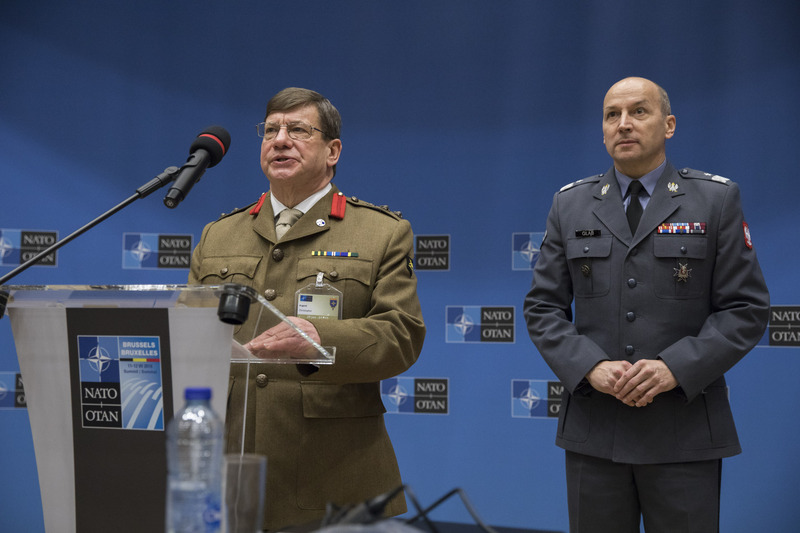 On 30 January, a memorable moment of the Brussels meeting was renewing the Memorandum of Understanding, which was signed by the NRFC Chairman Brigadier General Robert Głąb (POL) and the CIOR President, Colonel (R) Chris Argent (UK). 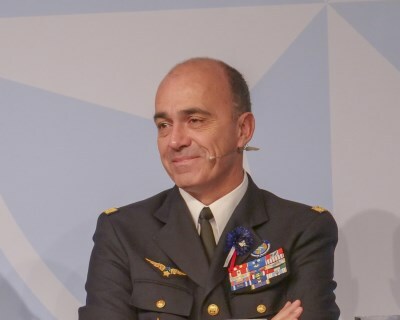 The joint session of NRFC and CIOR started off with a keynote address by the Vice Chief of Staff Supreme Headquarters Allied Powers Europe, Lieutenant General Olivier Rittimann. 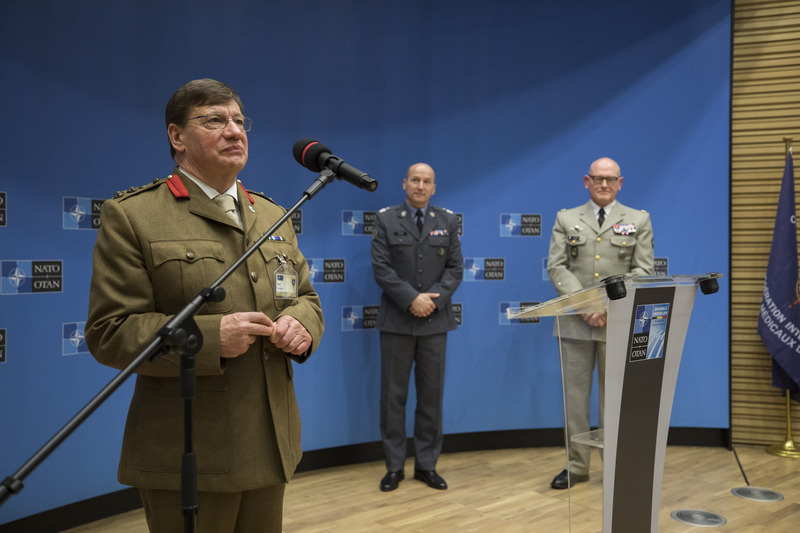 The General highlighted the value of Reservists as “a capable, credible and available force which continues to be an important element of the Force structure. For some Nations reservists make up almost 50% of their National forces which is understandable when requirements increase but defence spending does not follow. 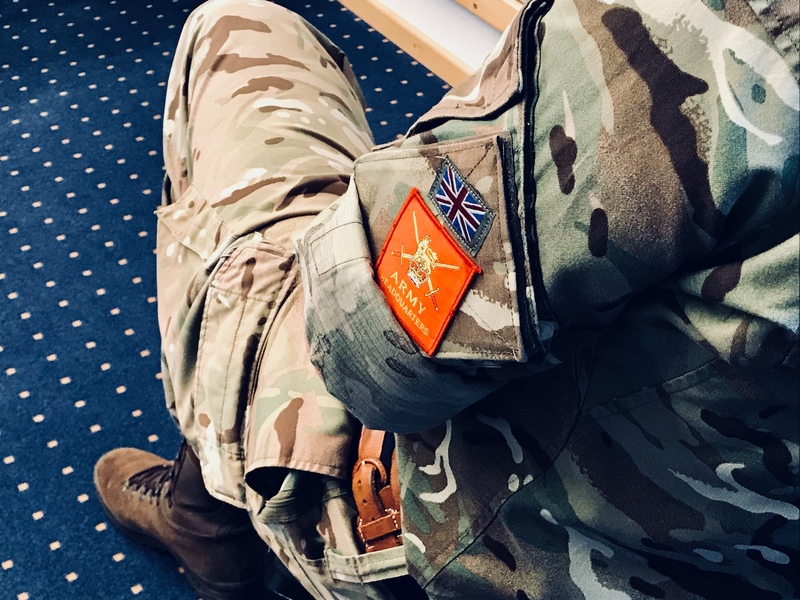 Whereas 20 years ago, reservists were considered more of a last resort, nowadays they are considered incremental to any Nation’s Armed Forces, providing the manpower and specialised skill to supplement regular armed forces”. 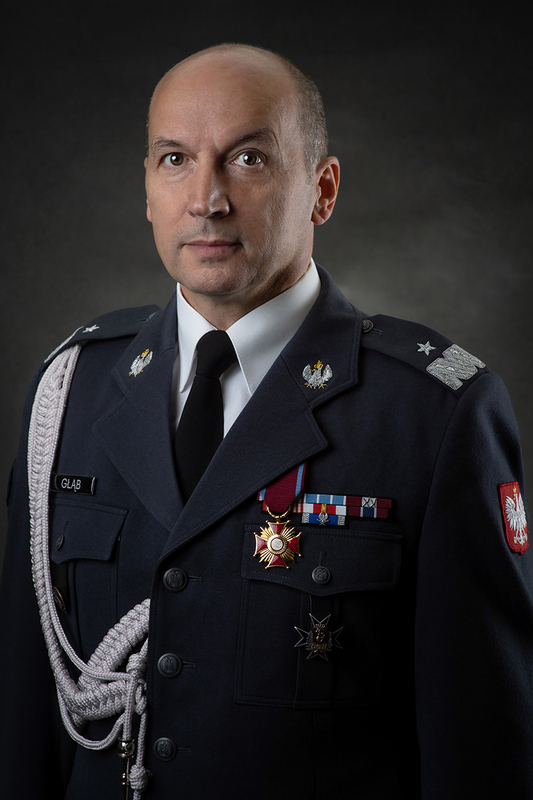 Brigadier General Robert Głąb noted that “The NRFC and CIOR are complementary organisations, the first focusing on the Reserves and the second on Reservists. It only made sense to renew this MoU to make sure that where possible we complement each other. 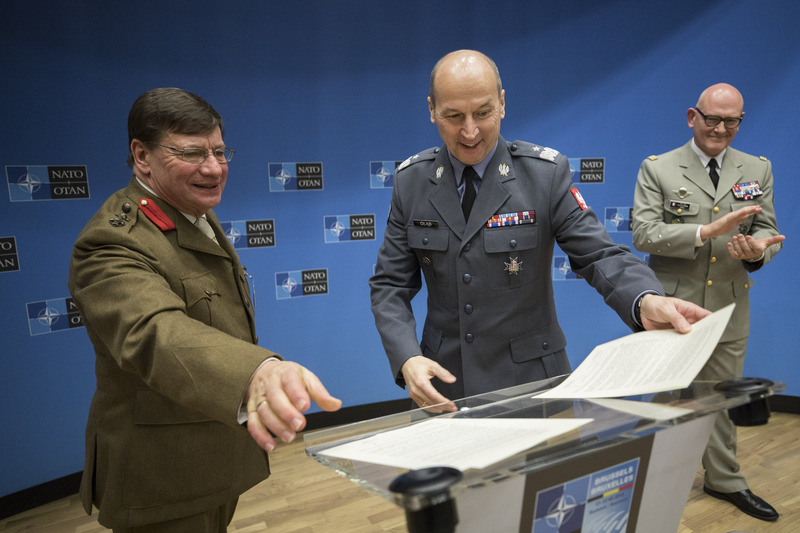 The aim is also where and when possible to present a united front and joint advise to the NATO Military Committee. We can only be stronger together”. 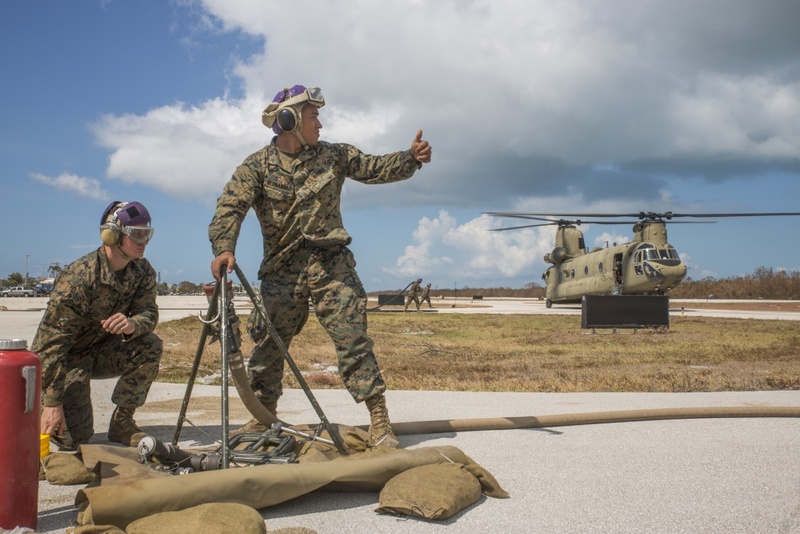 In the Memorandum of Understanding it has been stressed that both NRFC and CIOR should work for the good of Reserve Forces providing a consistent, coherent, and unified message. The MoU also stipulates that the NRFC is the policy-making body concerned with the Reserve as an organisation, whilst the CIOR is the practical deliverer concerned with the individual Reservists. 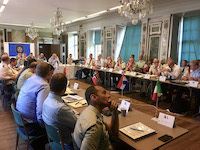 At the same time, both NRFC national representatives and CIOR leadership agreed that in the coming months the process which has been started in Brussels, needs to be put in practice. Participants of the NRFC plenary meeting expressed their satisfaction with the achieved objectives. 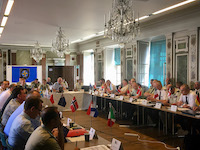 The next NRFC plenary meeting will take place in Warsaw in July 2019. 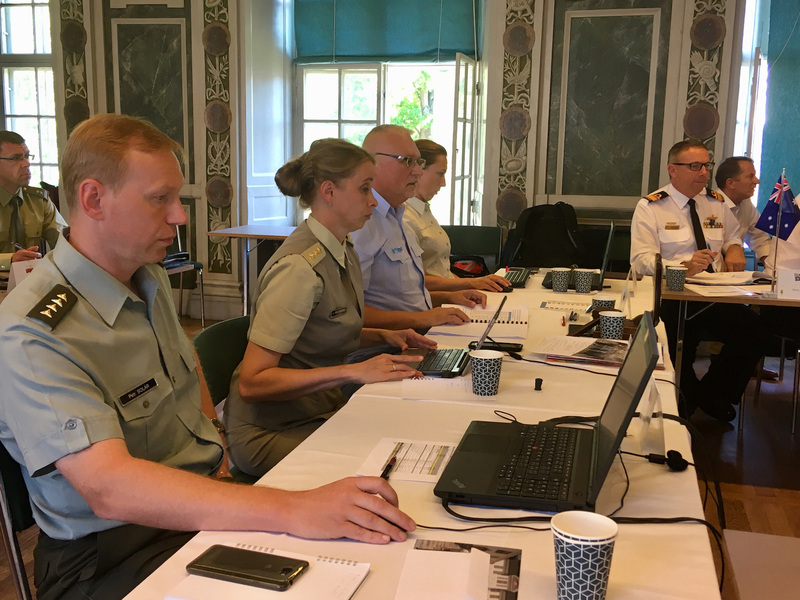 In accordance with NRFC calendar the Staff Officers Meeting (SOM) 2018/2 took place between the 22nd and 25th October in Oslo (Norway). 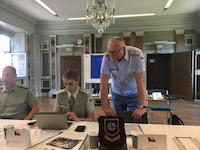 It was the first meeting which was presided by the Polish NRFC Secretariat during the two years’ Polish NRFC chairmanship that started at the end of June 2018. Staff Officers from 15 NATO countries and 3 NRFC permanent observers (Australia, Austria and Georgia) as well as LNOs from IMS and ACT attended this event. 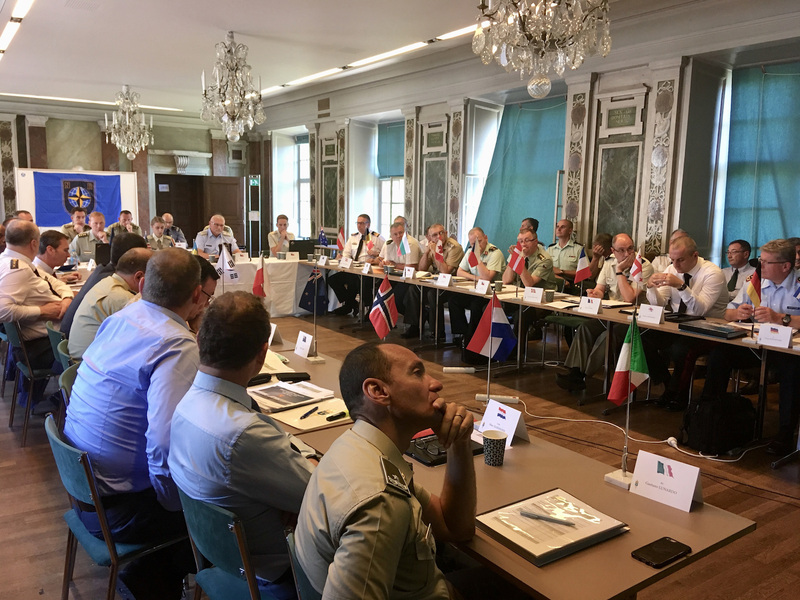 The participants of the meeting were welcomed by the Deputy HR Division in NOR Defence Staff, CDRE Bjørn-Erik MARTHINSEN. 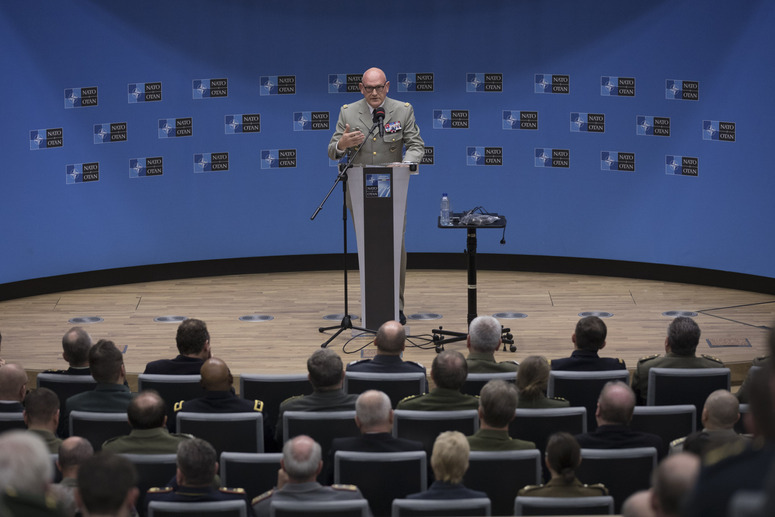 In his speech, CDRE MARTHINSEN addressed the ramifications of the changing security environment and the refocus on the force generation. He underlined the significance of the NRFC and Reserve Component for armed forces and NATO. He also expressed the confidence that looking at this SOM agenda, participants will be addressing issues vital to build-up and functioning of National Reserve Forces. 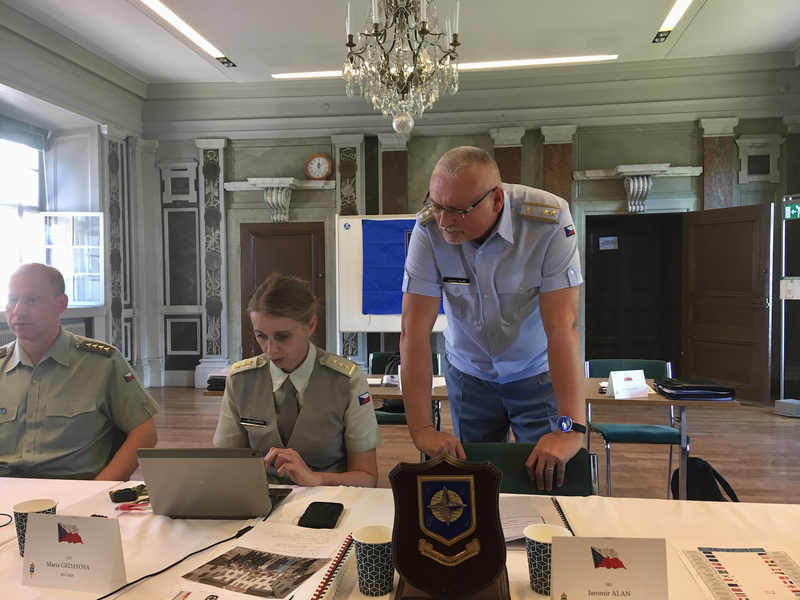 Secretary General COL Grzegorz KRAWCZYK expressed sincere congratulations on preparation of the SOM 2018/2 to NOR as the Host Nation and greeted first time participants. The agenda of the meeting was broad and included many different issues and matters of interests for NRFC. The main topics of the meeting were dedicated to the exchange of best practices/lessons learned, the support of NRFC to NATO Multinational Reserve Network, the amendment of the NRFC SOP and the preparation of Winter Meeting in Brussels at the end of January 2019. The participants especially valued the exchange of ideas in discussions groups in which they had the opportunity to share their national solutions and approaches regarding the use of Reservists in exercises and operations as well as how nations perceive the Reservists complementary and supplementary capabilities in the context of future role of Reserves. The discussions were based on the outcomes of a questionnaire “Reserve Forces Contribution to Achieving NATO’s Objectives”, which was prepared by NRFC Secretariat in accordance with the decision reached by NRFC Heads of Delegations. At the end of SOM, the Secretary General thanked all participants for their contributions and active discussion during the sessions which resulted in a productive and profitable meeting. Participants expressed their satisfaction with the SOM organization to the Host Nation and the Secretariat. They appreciated valuable talks, interesting and stimulating exchange of information and sharing common interests. 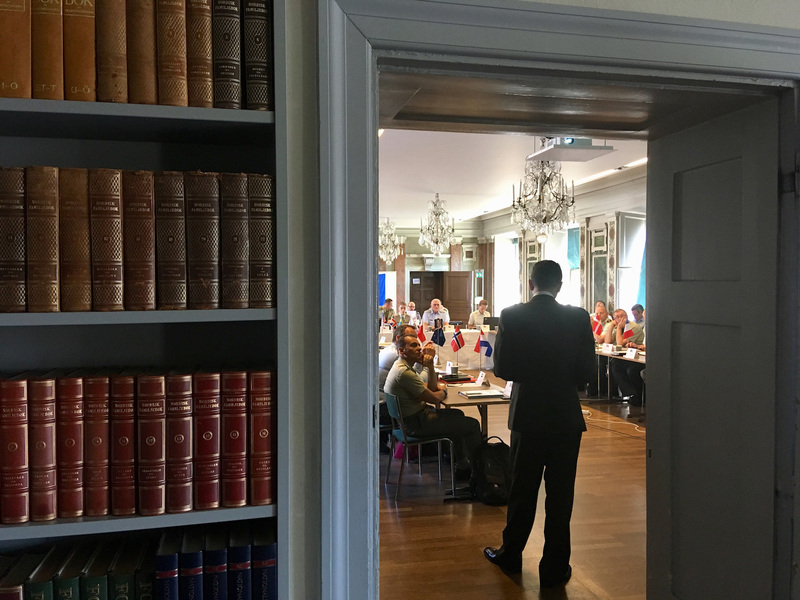 This year’s NRFC plenary Summer Meeting (SM) was held from the 26th to 28th of June, 2018 in Stockholm, Sweden, in accordance with the NRFC Winter meeting (WM) 2018 decisions. 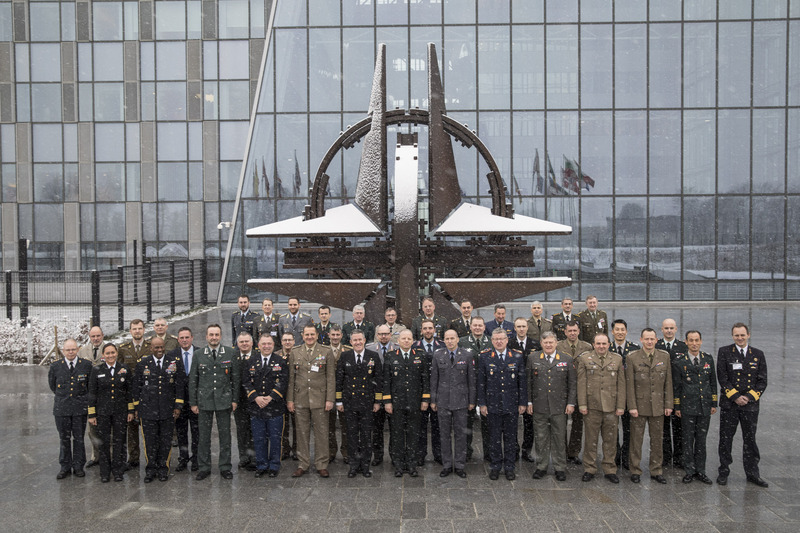 Heads of Delegations and Staff Officers from 15 NATO countries (Belgium, Bulgaria, Canada, Czech Republic, Denmark, France, Germany, Great Britain, Greece, Hungary, Italy, Netherlands, Norway, Poland, and USA) and 6 NRFC permanent observers (Australia, Austria, Georgia, New Zealand, Republic of Korea and Sweden) as well as IMS and ACT LNOs attended the meeting. 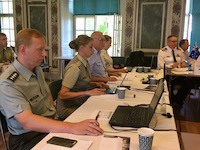 At the beginning of the meeting, Lieutenant General Dennis Gyllensporre, the Chief of Defence Staff of the Swedish Armed Forces, addressed the participants informing them of the recent changes in the Swedish national approach to the recruitment and training of the personnel as well as exercises with the participation of reservists. The agenda of the meeting was very intense and included various issues and matters of interests for NRFC. Discussions were focused mainly on the national approaches and views on the issue of increased Reserve support to exercises and training and the use of Reserves across the spectrum of military tasks and the future role of Reserve forces in the context of increased readiness. 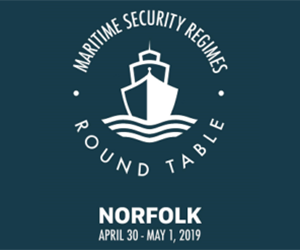 Moreover, other vital items in the agenda were devoted to updates from IMS and ACT provided by LNOs, NRFC annual report to the Military Committee, the new draft of Memorandum of Understanding (MOU) between the NRFC and CIOR as well as the planning of Winter Meeting 2019 (Brussels). The participants appreciated valuable talks, interesting and stimulating exchange of information and sharing experiences and lessons learned in the area of Reserves. They expressed their satisfaction with the SM organization to the Host Nation (Sweden) and the Secretariat. 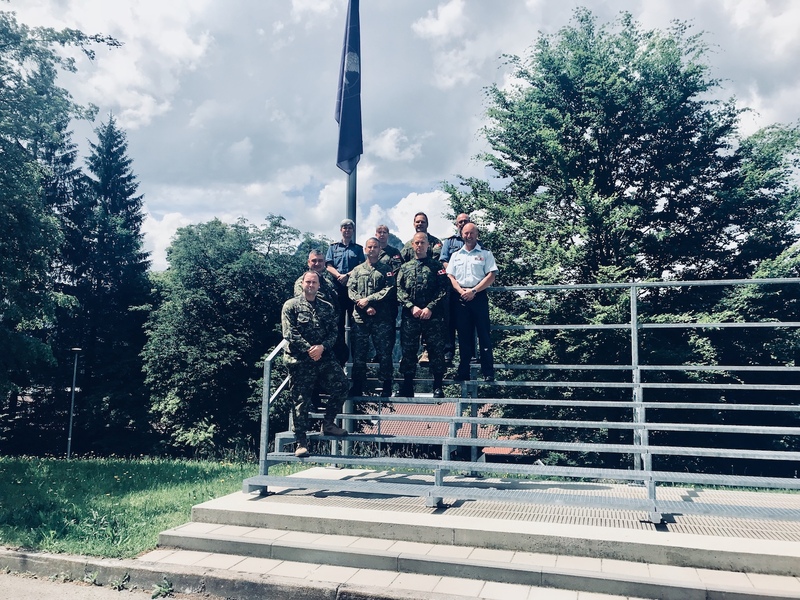 On the last day of the SM (28th of June) the NRFC Handover Ceremony between the Czech Republic and Poland took place. Brigadier General Robert Głąb took over the chairmanship from Major General Jaromir Alan. He expressed his gratitude to NRFC members for the opportunity to perform the duties of NRFC chairman. In accordance with NRFC long tradition BG Głąb, as the new chairman, tapped the gavel – a symbol of the authority – against a lectern to indicate the closing of SM 2018 session. The National Reserve Forces Committee is composed of the national officials responsible for the Reserve Forces of the Nations signatory to the North Atlantic Treaty. 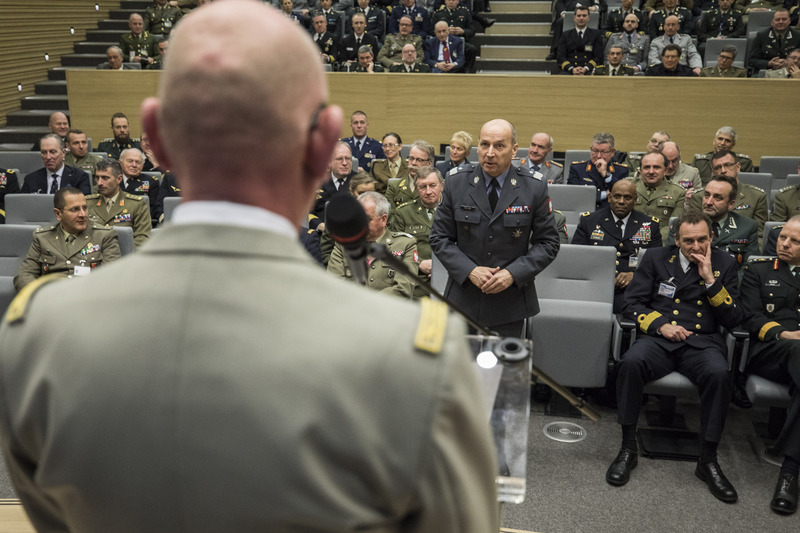 It comprises the Chairman and a Secretariat, National delegations of NATO members and invited Observers and Liaison Officers of NATO Headquarters/International Military Staff, Allied Command Operations and Allied Command Transformation. The National Reserve Forces Committee continually strives to expand its membership. Best practices and lessons learned are only valuable when visible to all allies and Partners. Therefore, the Committee encourages non-member allies and Partners to participate in its deliberations. The Reserve component of a nation’s defence force essentially comprises military personnel who are not obliged to render continuous full-time service, except in the event of compulsory mobilisation, which is usually reserved for defence crises. Note: These arrangements vary significantly between the nations. In some nations, mobilisation is limited to national defence. 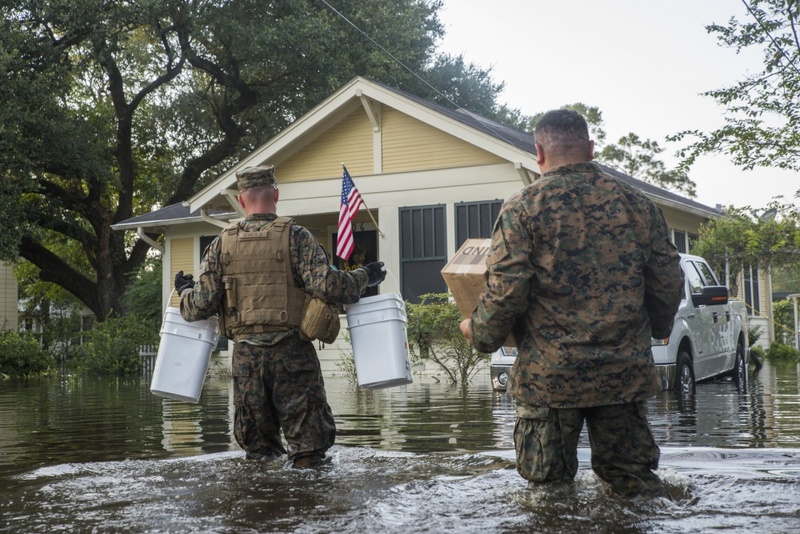 In others, it is available for response to domestic natural disasters. 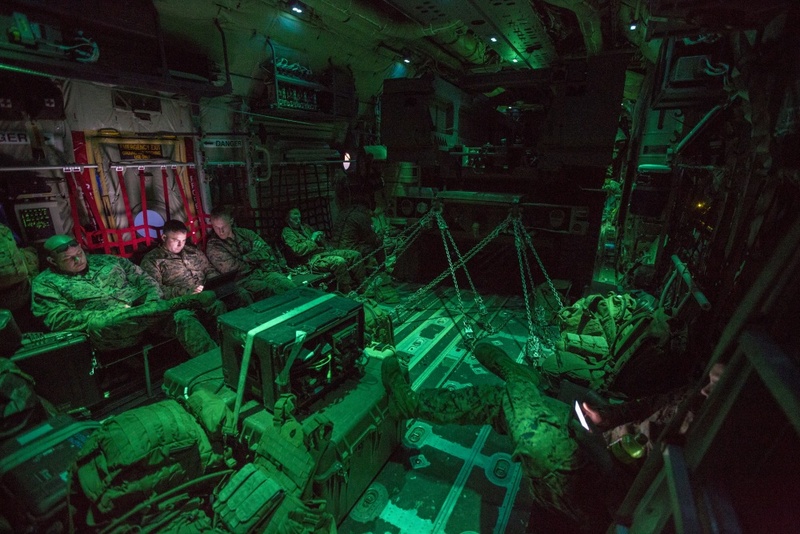 In others, it is available for expeditionary operations. 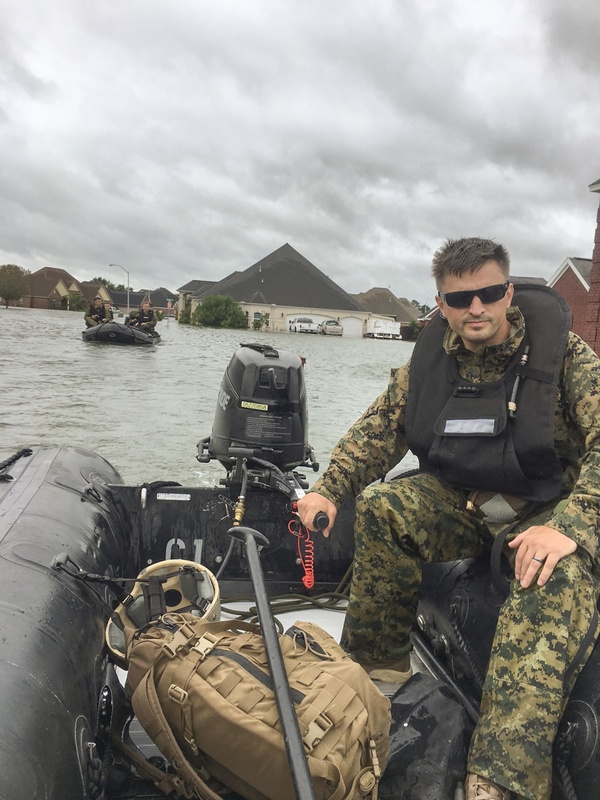 Reservists typically (though not universally) have an annual training obligation, and short of compulsory mobilisation, may render full-time service on a voluntary basis, either domestically or abroad. Reservists may be ex-Regulars or ab initio Reserve entrants. Note: Some nations compulsorily mobilise Reservists for expeditionary operations while others call for them on a voluntary basis. 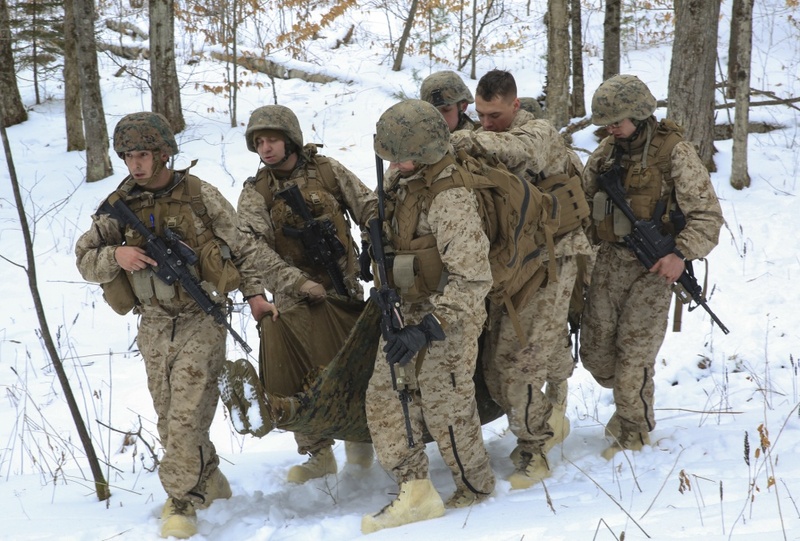 Because Reservists have competing obligations and demands - most notably their civilian employment, as well as their families (that limit their availability for training as well as for deployment on operations), they have less time to train and to acquire and practice their military skills, than their Regular counterparts, and they are therefore usually at a lower degree of readiness, or have fewer competencies and lesser degrees of proficiency, than those who practice their military skills every day. This means that they usually require a longer period of notice to be made ready for high-end operations. 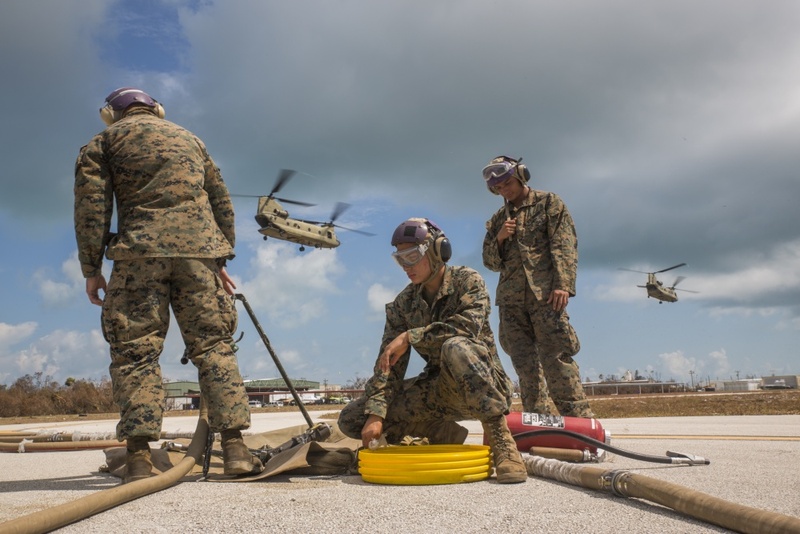 Note: Some countries have started to recognize the competing demands of civilian career, family and reserve duties, and have developed programs whereby the Reservist can transition to different categories of reserve status while maintaining military proficiency. 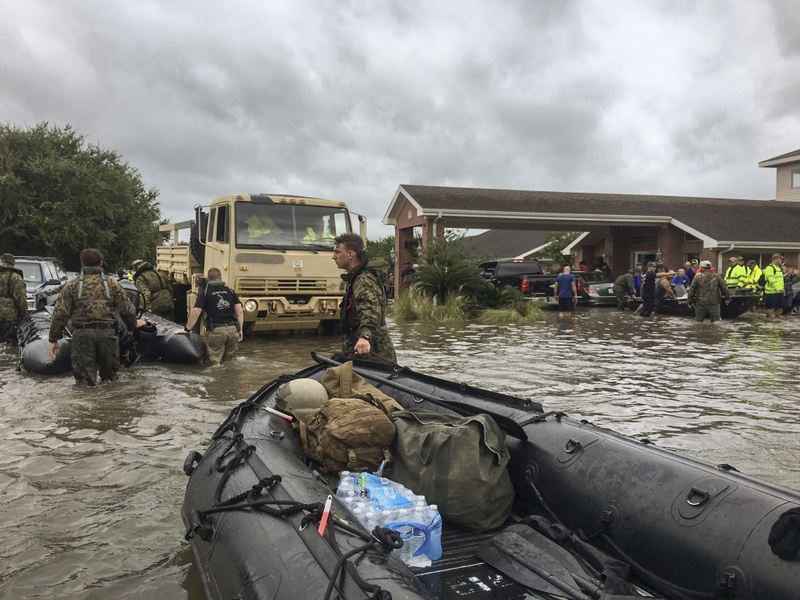 However, they bring the considerable advantage of the additional capability provided by their civilian skills and life experience. 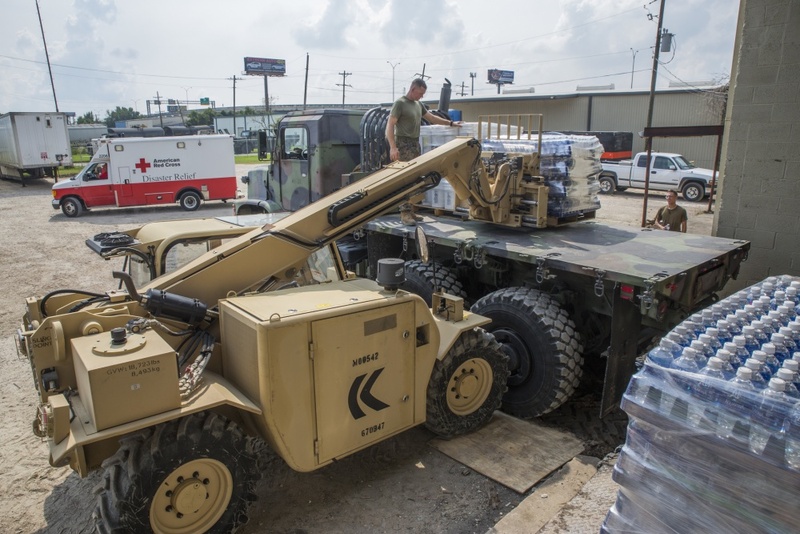 Furthermore, they serve as a cultural bridge between the military and the community. 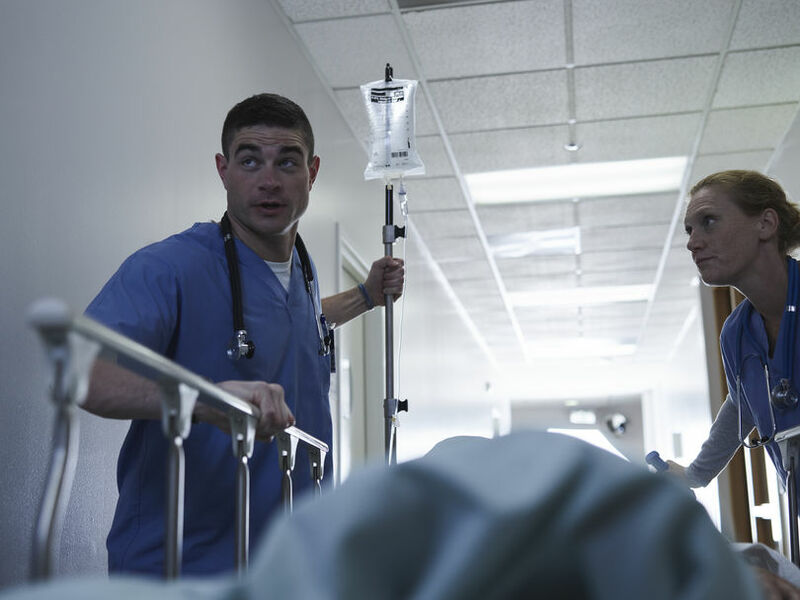 Until placed on continuous full-time service, they are relatively economical. 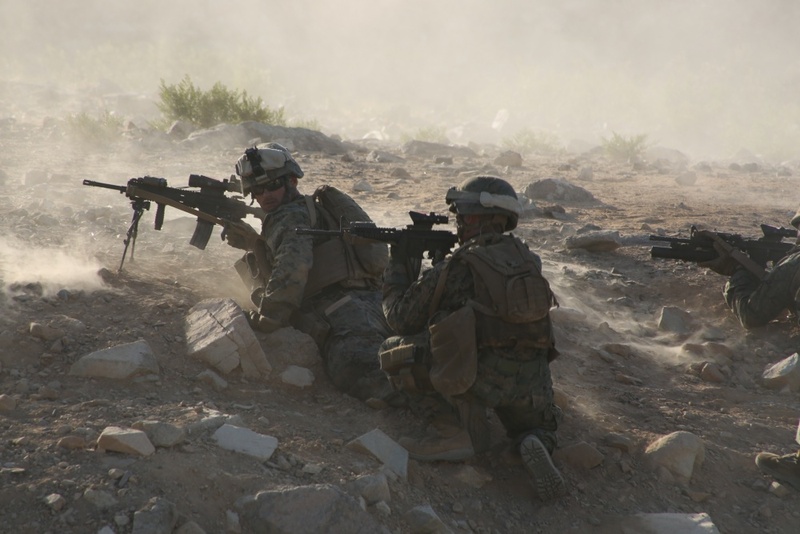 Note: Though there are many variables, a reasonably consistent pattern is emerging from studies in Australia, the United Kingdom and the United States, that the holding cost of a Reservist (not deployed) is about 20-25% of a Regular, and assuming that one in three Reservists deploys on operations once over a five year period, the total cost of the average Reservist is still significantly less than that of generating the same capability from a Regular. This means that, properly employed, they are a cost-effective source of capability. 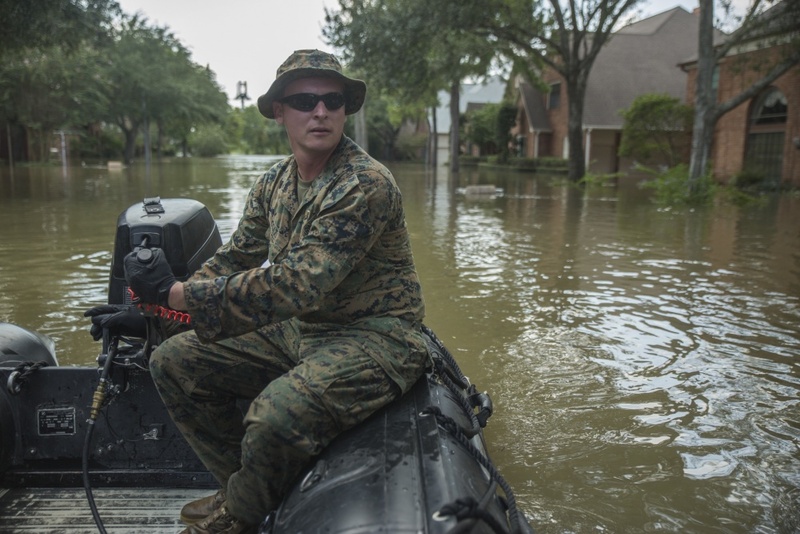 Providing surge capability. This is an expansion base for mobilisation in the event of large- scale defence emergency, and for many years was the traditional Reserve role. 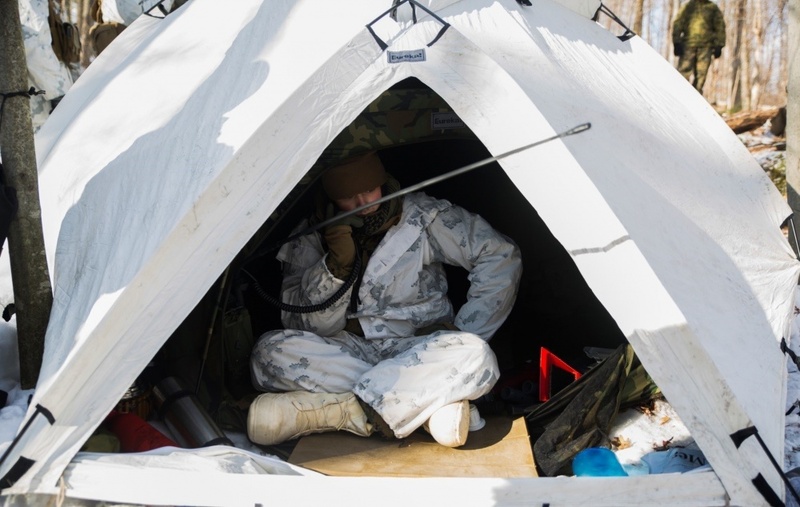 In addition, because Reservists are often geographically dispersed around nations, they serve as the face of the national defence force in regions where there is no regular force presence. Because they live and work in the community, they serve as a cultural bridge, or mediator, between the military and the community. Life between the duty and the civic work. 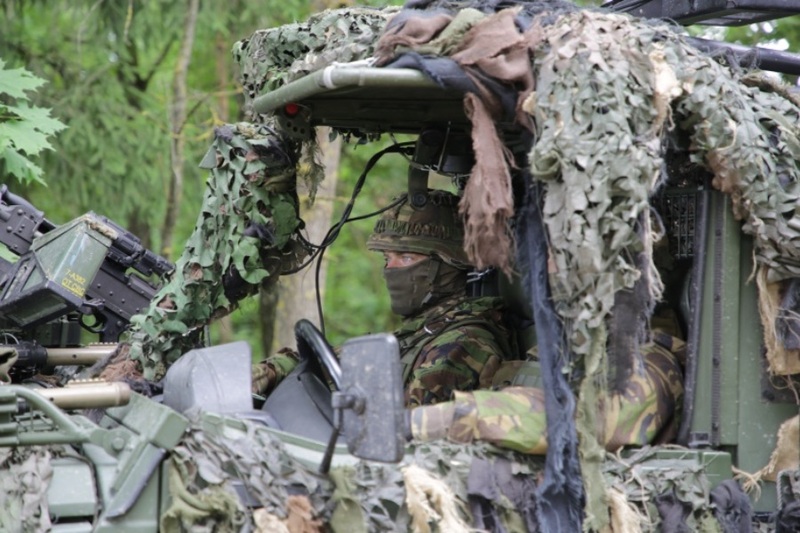 The Dutch military contribution to Enhanced Forward Presence (eFP) in Lithuania is [for the Netherlands] not considered a mission, but a posting. This nuance is of importance, because this concerns an operation inside NATO’s AOR. That being said, the daily course of events is largely identical to that in missions. It is common practice to assign a Public Affairs Officer (PAO) to units for the coordination of internal and external communications. Platoon commander Merien van der Velden of the 20th Battalion of the National Reserve Corps of the Netherlands, served three months in Lithuania as PAO in the rank of 1st lieutenant. Merien was the only Reservist in a contingent of 250 Dutch military. During the posting of lieutenant van der Velden, the battlegroup in Lithuania consisted of Germany (the Framework nation), the Netherlands, Belgium, Norway and Luxembourg. The Dutch unit is the 42nd Armored Infantry Battalion, Limburgse Jagers, of the 13th Light Brigade. This infantry unit mostly uses the Boxer infantry fighting vehicle. After a short Hand-over-take-over (HOTO) from his predecessor it quickly became apparent that the position of PAO was of great importance. 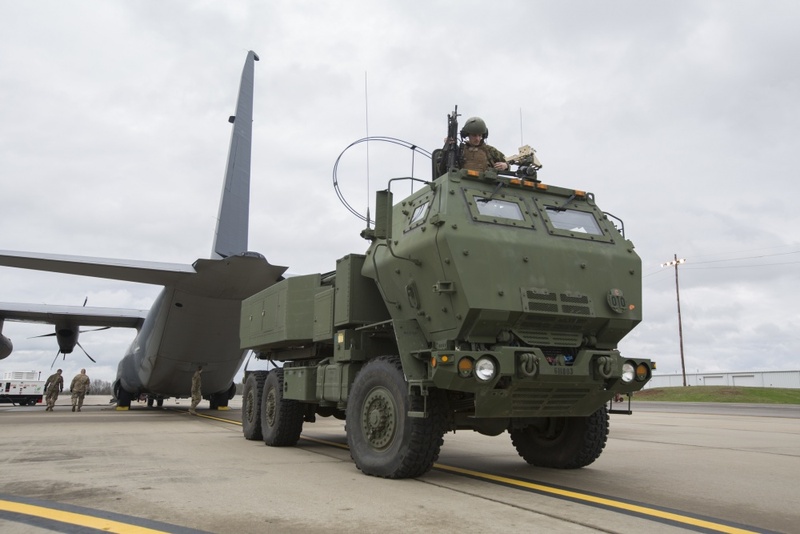 The presence of NATO allies in Lithuania is to reassure the local population and to deter possible Russian aggression. That is why, in addition to physical presence, communication is extremely important. The eFP has a ‘high media profile’. 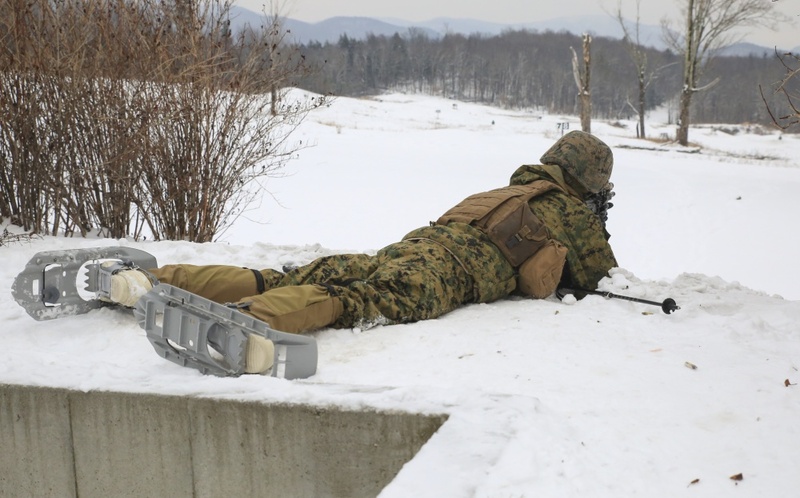 This zone of operations receives a lot of international attention, because it relates to the tense geo-politic relationship between the NATO Alliance and the Russian Federation. Community engagement: organize contacts and activities for the local population to maximize popular support. There are numerous international groups and structures related to these tasks. Some of these structures are, of course, military, but others involve Lithuanian organizations and there was frequent contact with the Dutch embassy in Vilnius. 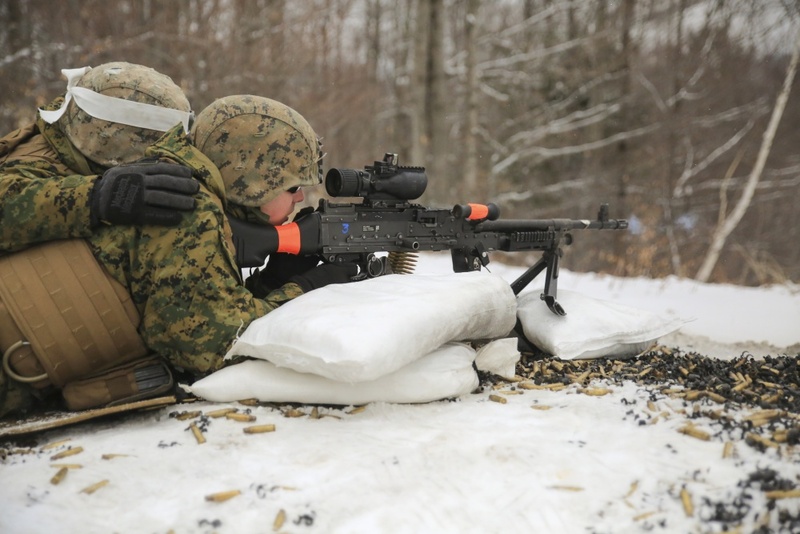 The main activity of the battlegroup in Lithuania is exercise. 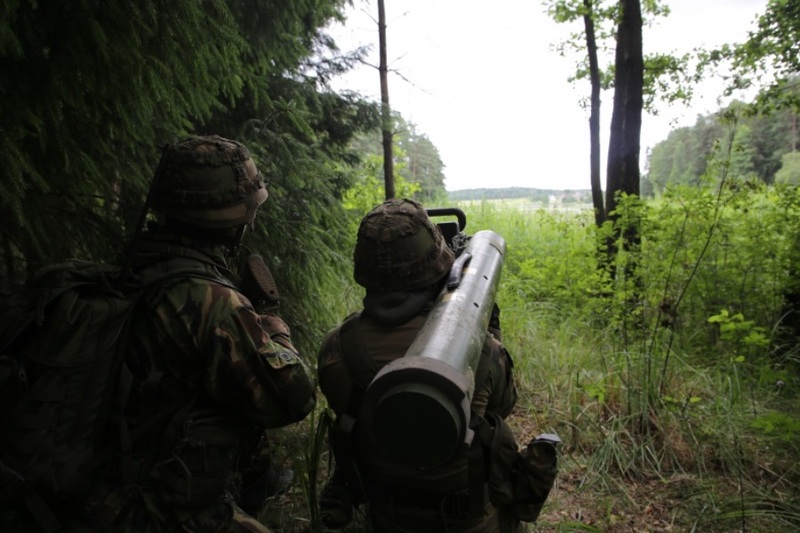 Thanks to the possibilities offered by Lithuania this includes training modules that are never exercised in the Netherlands, such as the use of anti-tank weapons on the firing range or the demolition of a concrete exercise bridge by the armoured engineers. Merien attended all these training activities and tried to involve media as much as possible. Several Dutch TV crews and journalists arrived with the Dutch prime-minister. 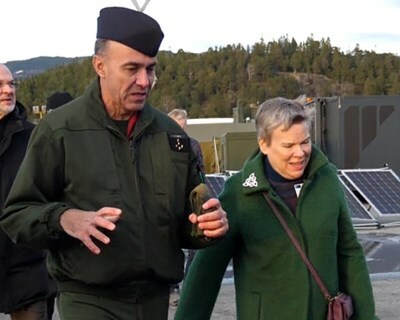 Merien was one of the individuals, who thought about the best way to cover the visit, like for example the breakfast the prime-minister shared with the Dutch military and two press moments during the visits. Merien is especially proud of the development of the narrowcast system that is on a perpetual loop in the dining area. Merien advocated this system and -when he received permission- oversaw the installation of the monitors. From that moment onwards, all unclassified information- relevant to the battlegroup is presented in the dining facility, such as for example information about ongoing sports events and local activities. The three months of the posting flew by for Merien. The interaction and cooperation with the colleagues of the 13th Light Brigade was excellent. 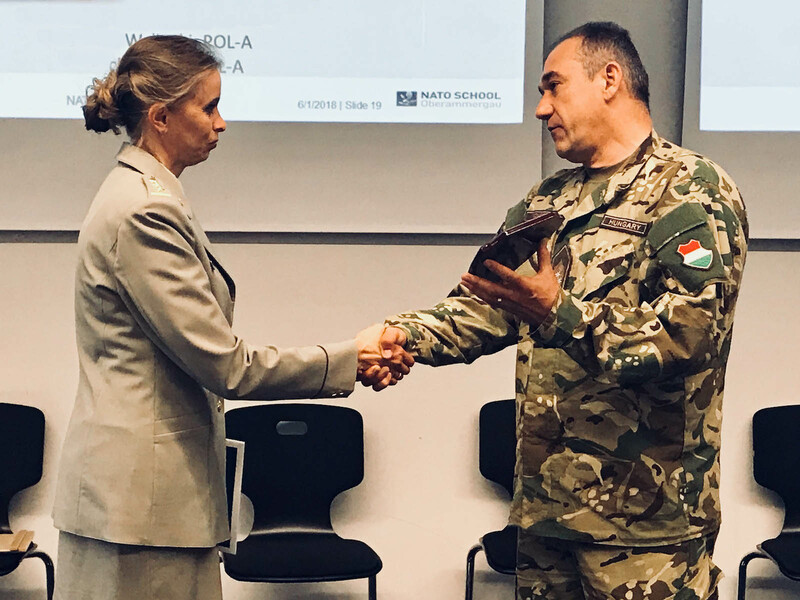 The Head of the Army of Lithuania awarded Merien with a gratification for his efforts as PAO. There were only four Dutch military, who received these tokens of appreciation. 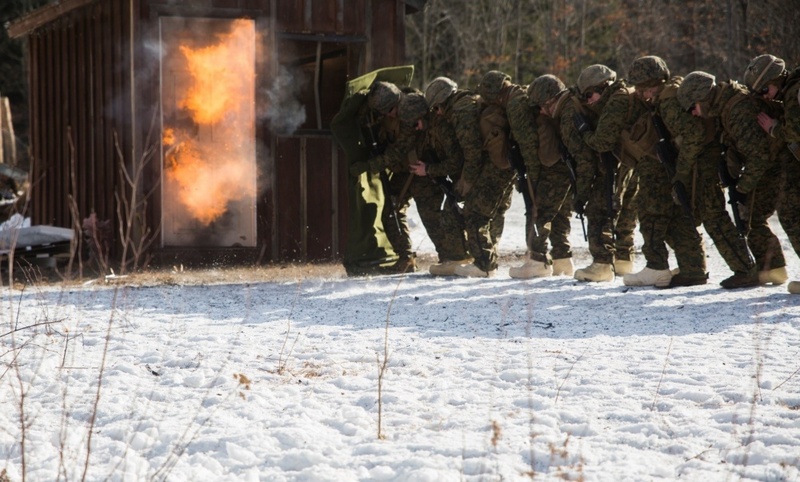 Merien considers this as a boost for the operational deployment of Reservists. ‘I hope that the new Army will make even broader use of its Reservists in operational roles. This could be a win-win for everybody. 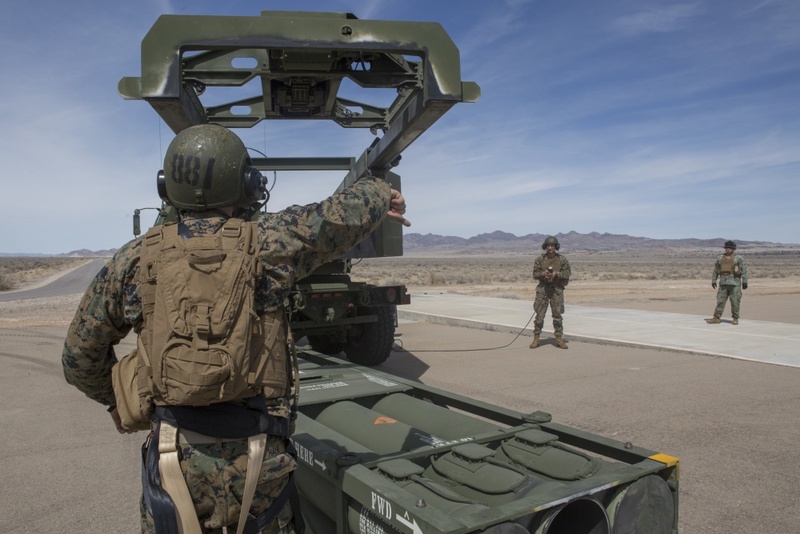 I think it would be a good idea to do a pilot with a detachment of the National Reserve Corps to guard and protect military structures in foreign mission areas. 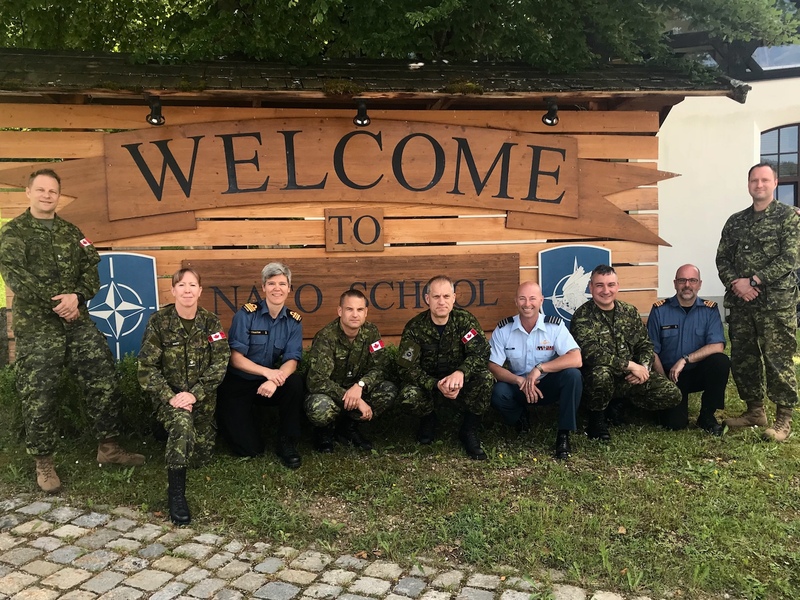 "My kids are very proud, they are trying on my uniform"
LCDR Shannon Potter (Canada) shares her personal experience in the interview during her stay in the NATO School Oberammergau. If you are interested in other stories, click here. Do you want to become a Reservist? Please, contact a recruitment centre, regional military headquarters or a local army career centre in your country. They will provide you with all information including recruiting process. Explore the roles of reserves and find out where you could fit with your knowledge, experience, beliefs and enthusiasm, where you belong, what it's like to serve and what is available to reservists, such as sports and adventure training, travel opportunities and much more. 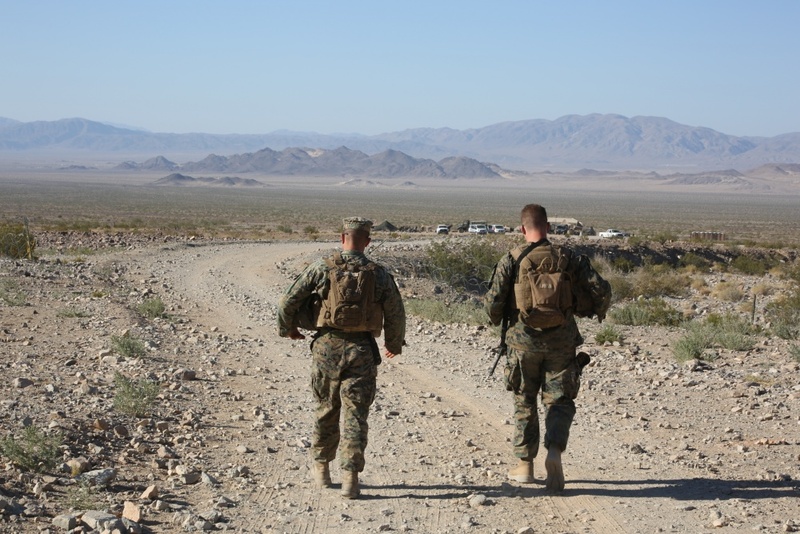 The Alliance offers extensive training and personal growth to soldiers and members of Reserve Forces. This is also beneficial for civilian employers because their employee is constantly gaining new experience and irreplaceable skills which could be used in his/her civilian career. 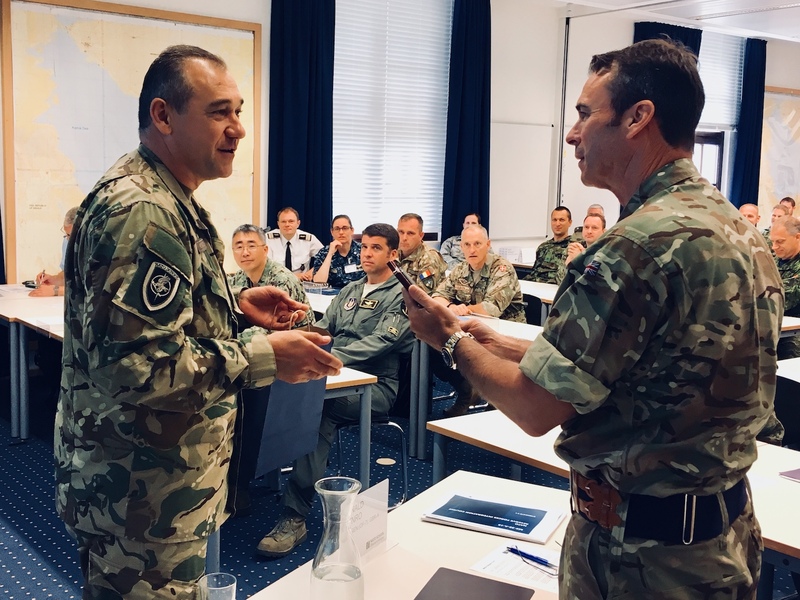 The National Reserve Forces Committee continues to oversee, through the NATO School Oberammergau, two courses tailored for Reserve Officers. 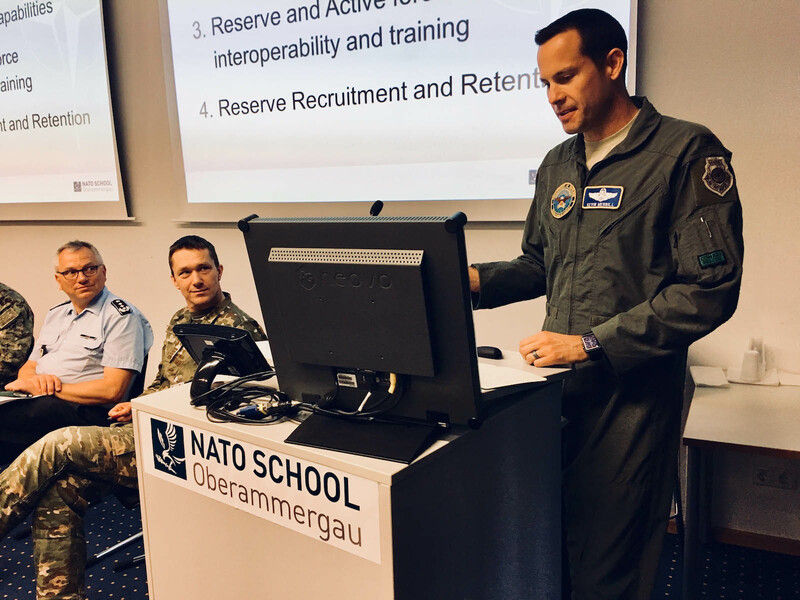 Major General Ranald Munro (Head of Delegation, United Kingdom) describes the cooperation with the NATO School Oberammergau in this interview. 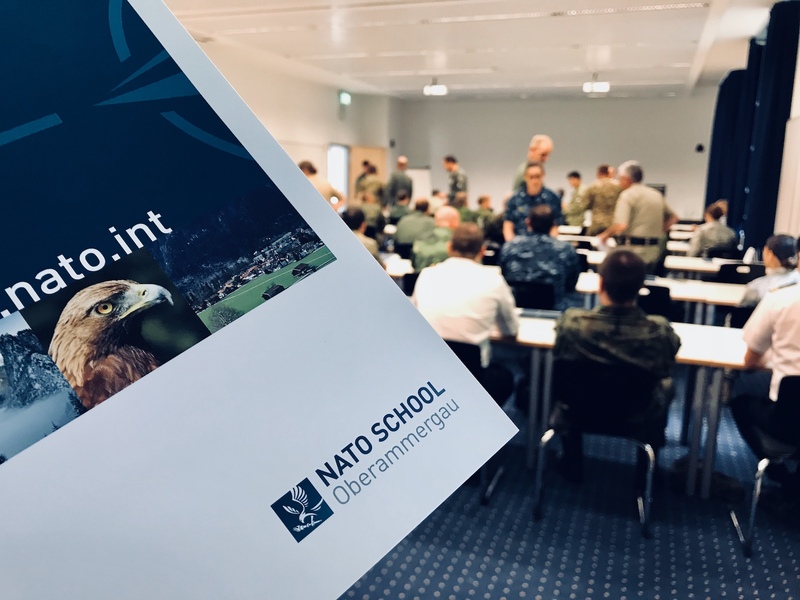 The NATO School in Oberammergau conducts education and individual training in support of current and developing NATO operations, strategy, policy, doctrine and procedures (see: www.natoschool.nato.int). 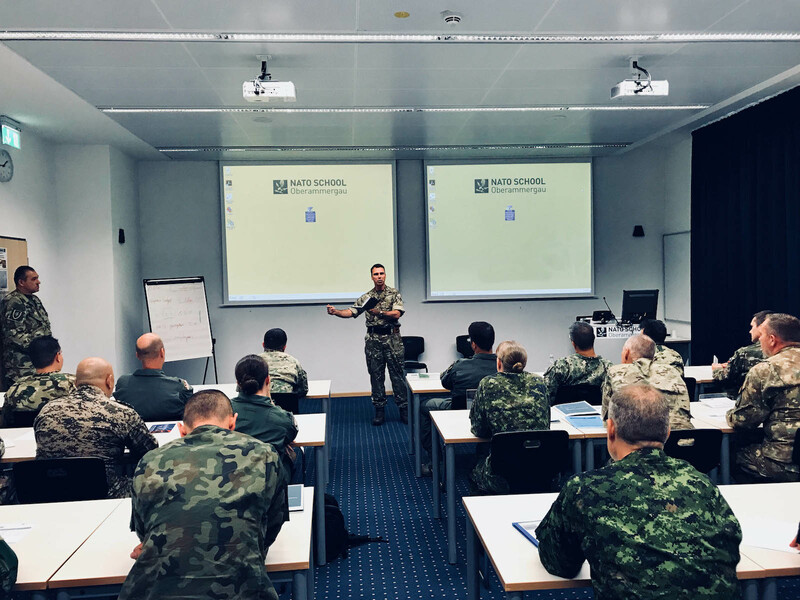 The classrooms are reflecting the diversity and reality of coalition operations, learning together, in support of NATO's comprehensive approach. 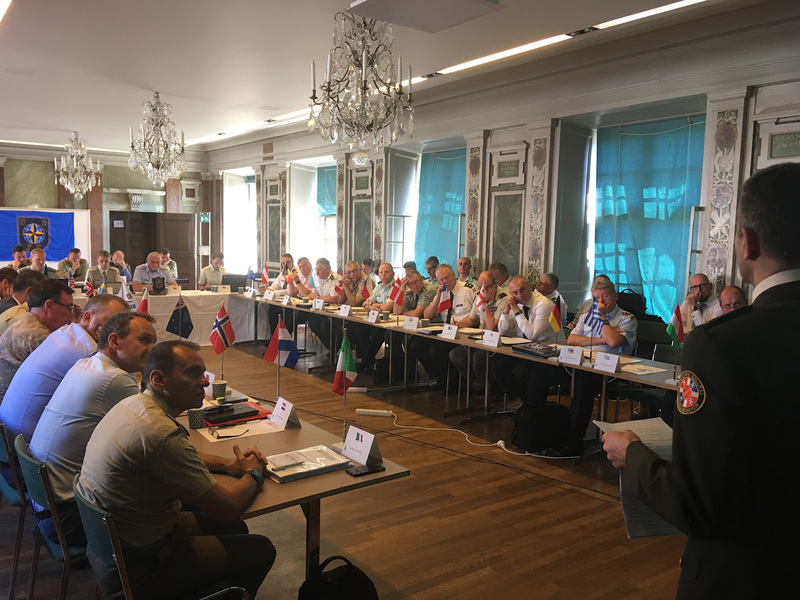 There is a strong partnership between the NATO School Oberammergau and the National Reserve Forces Committee. 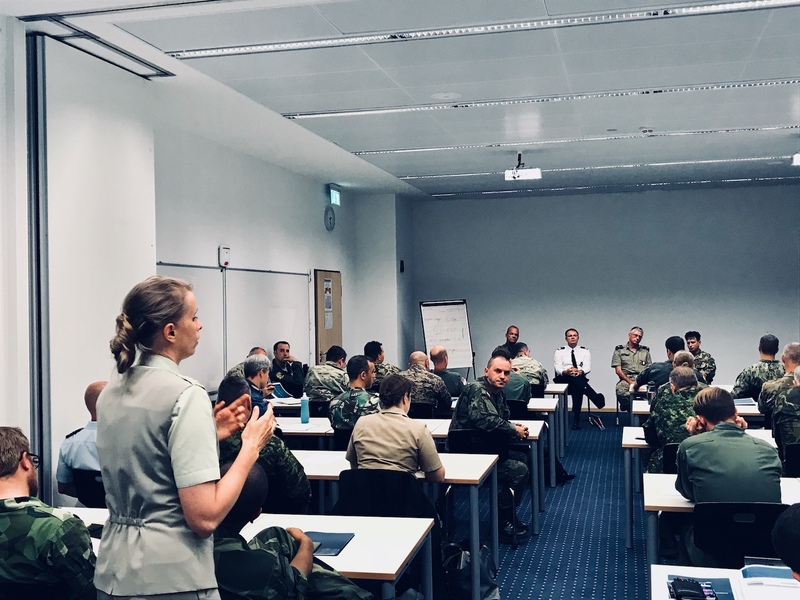 The Committee continues to oversee, through the NATO School Oberammergau, two reserve courses (Reserve Forces Integration Course, Senior Reserve Officers Course) tailored for reserve officers but open to Regular Forces and civilian equivalents. 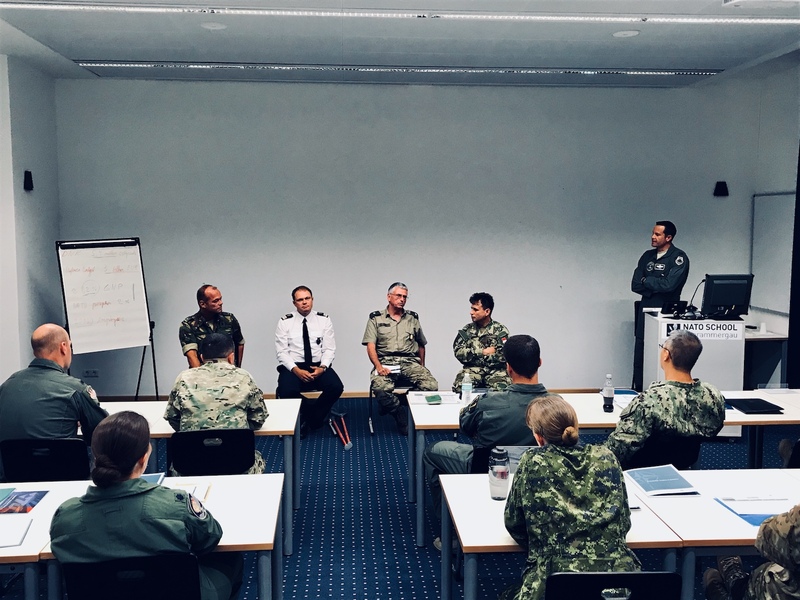 The Reserve Courses Director – Colonel Ferenc Kovacs (Hungary, NATO School Oberamergau) – explains more in this video. 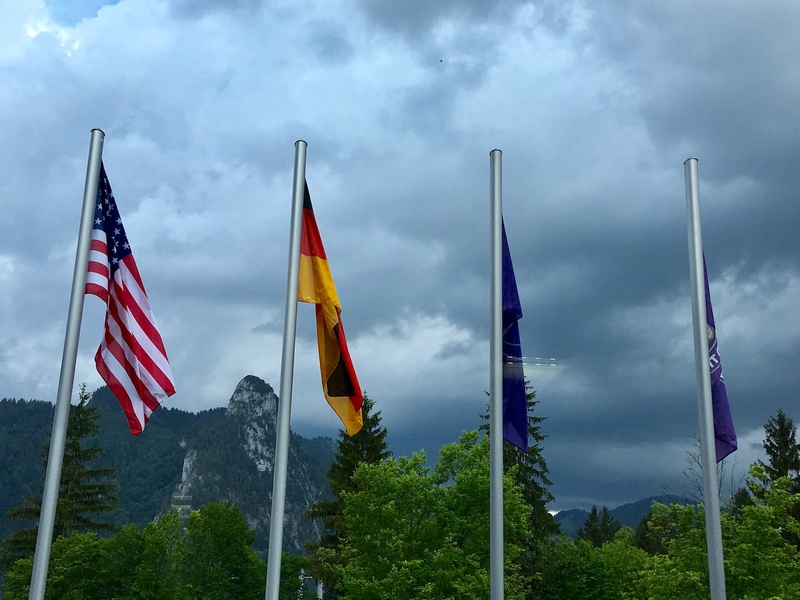 NATO School Oberammergau is located at the heart of Bavarian Alps in Germany. 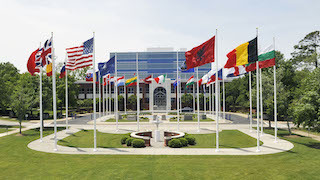 It is NATO’s premier individual training and education facility at the operational level. 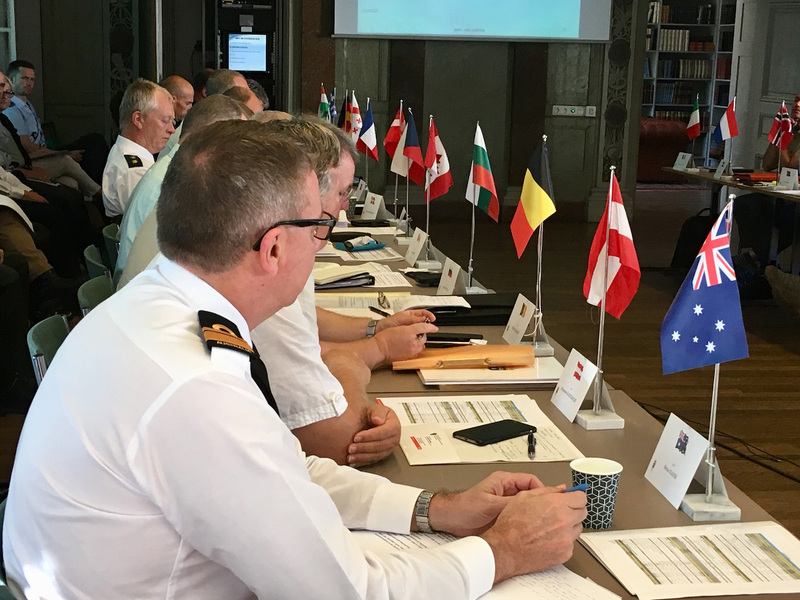 With courses, seminars and workshops, the NSO meets the current and emerging training needs of the Alliance and partner nations. Are you interested in participating in these reserve courses? If you want to attend these reserve courses, get in touch with your point of contact and get involved.